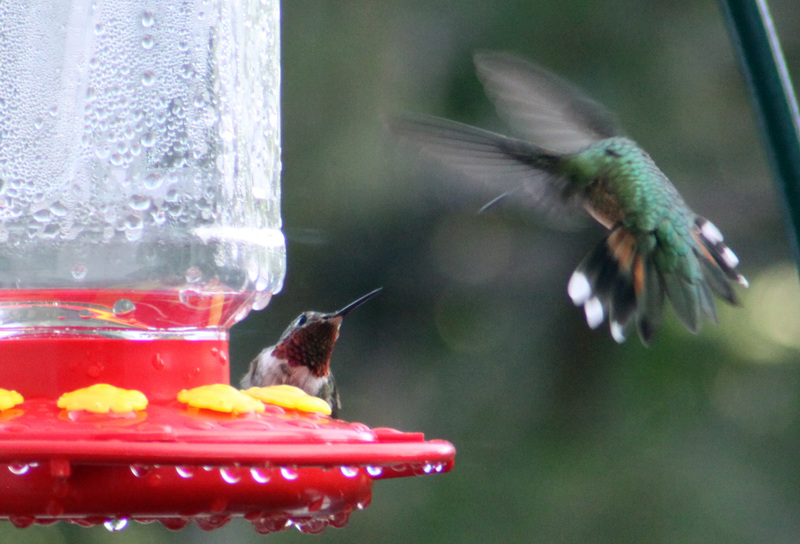 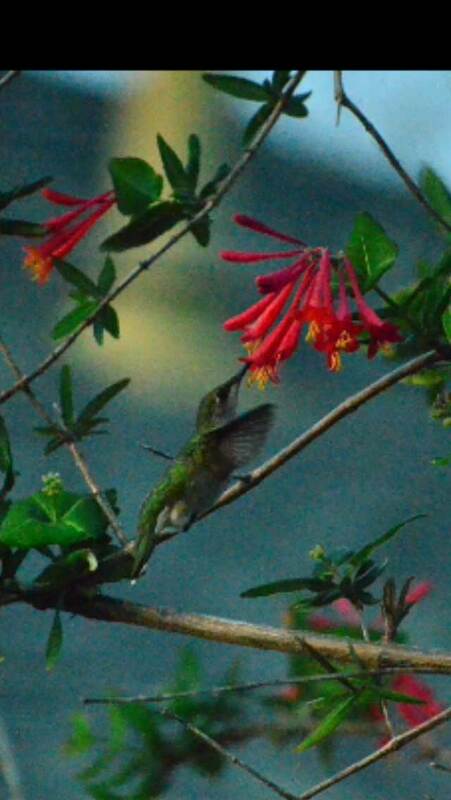 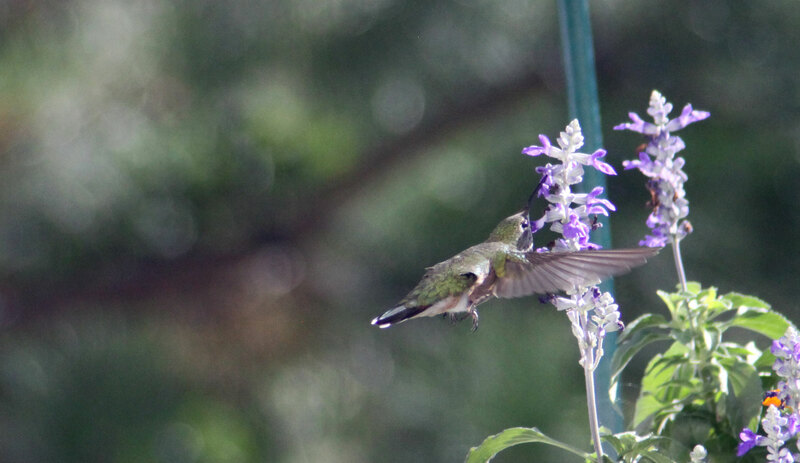 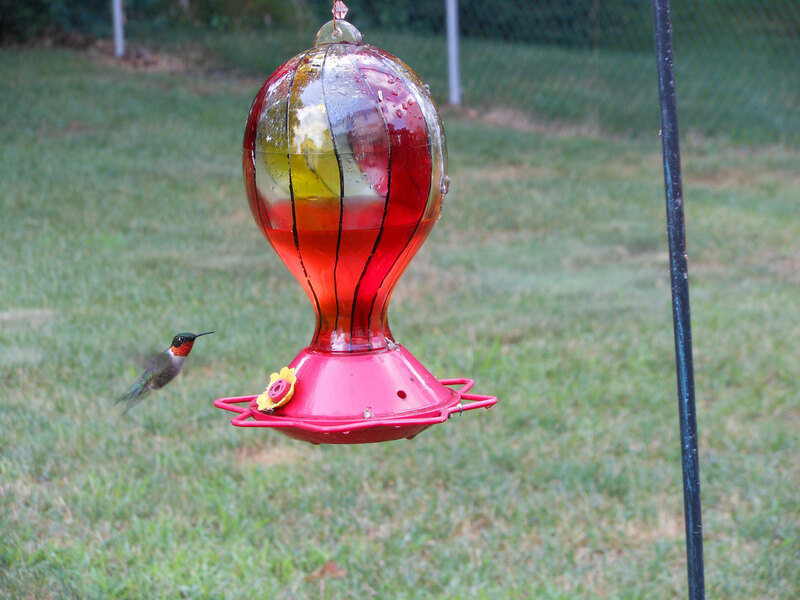 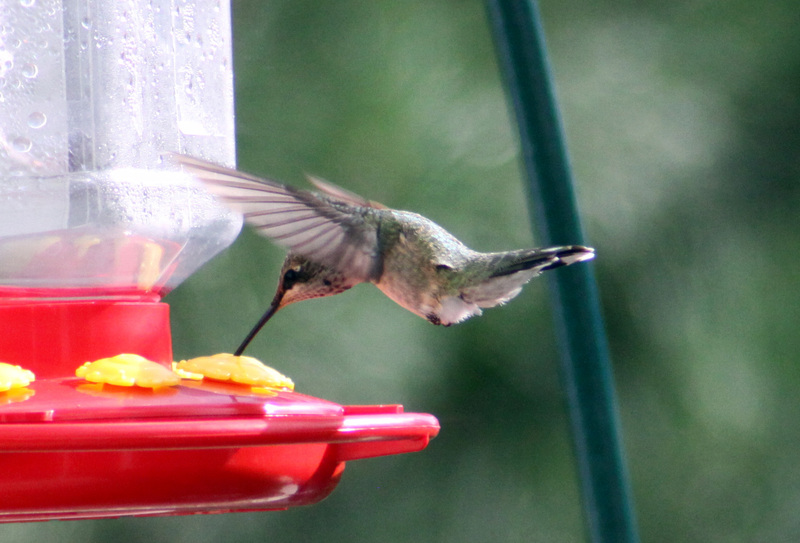 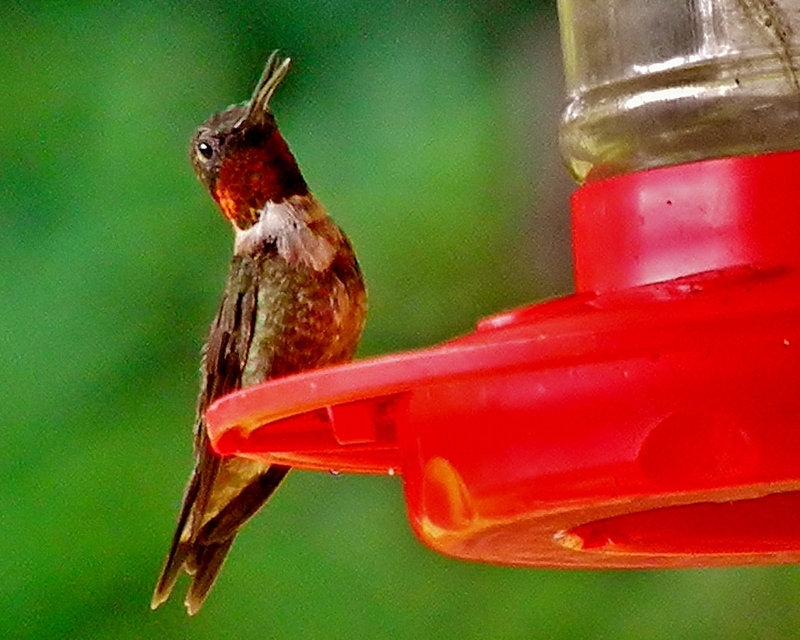 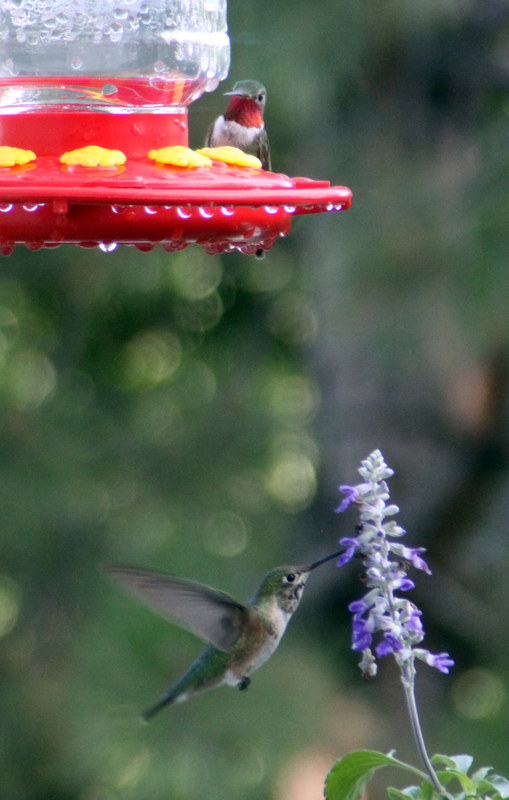 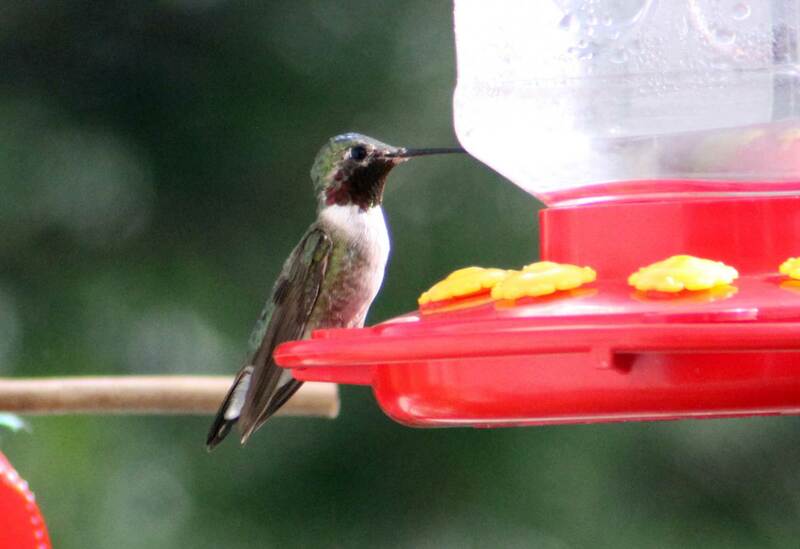 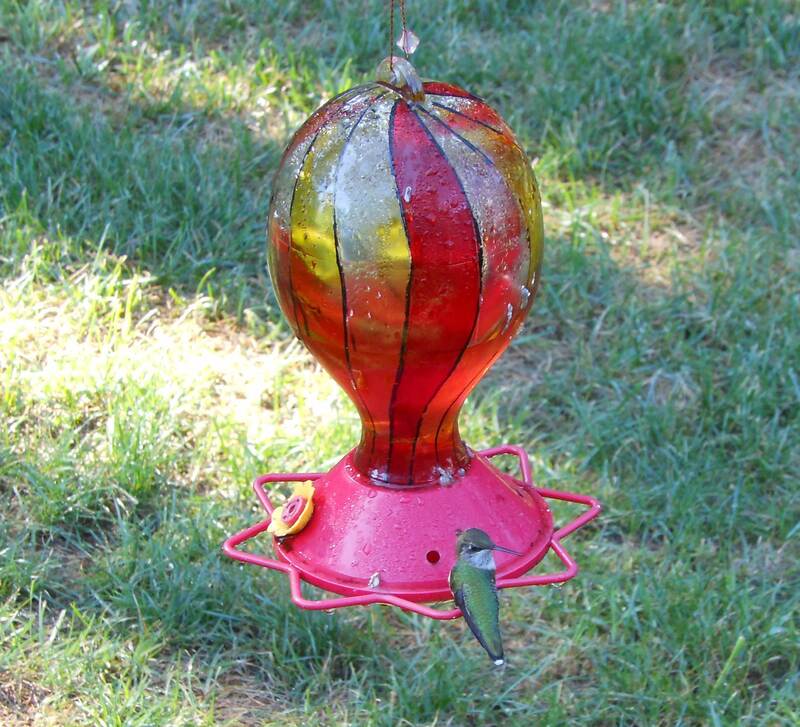 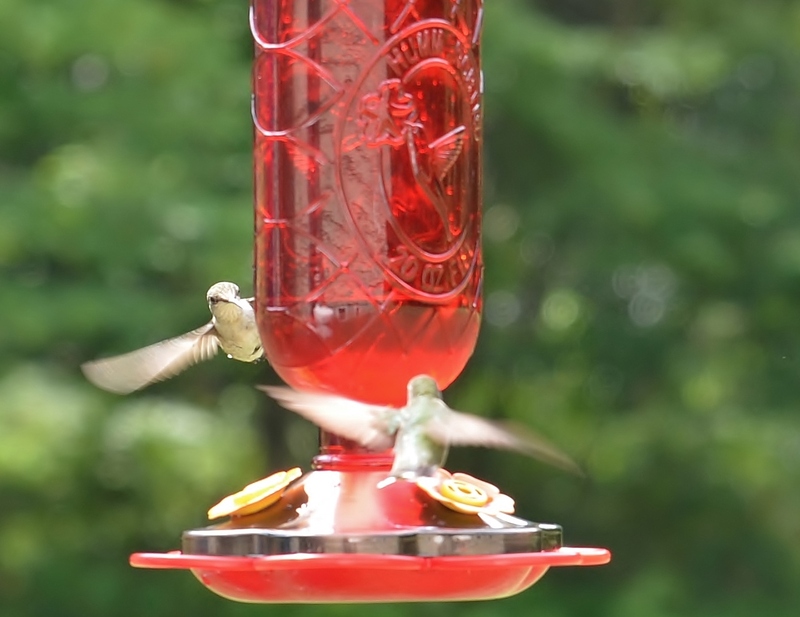 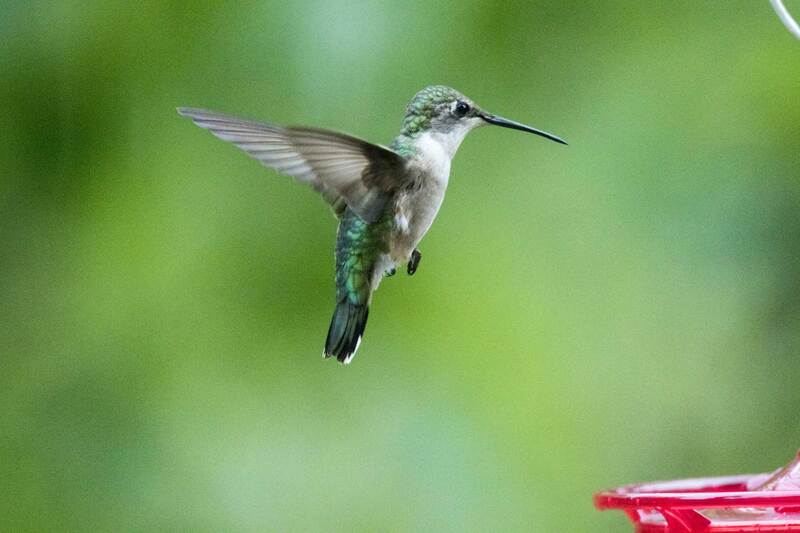 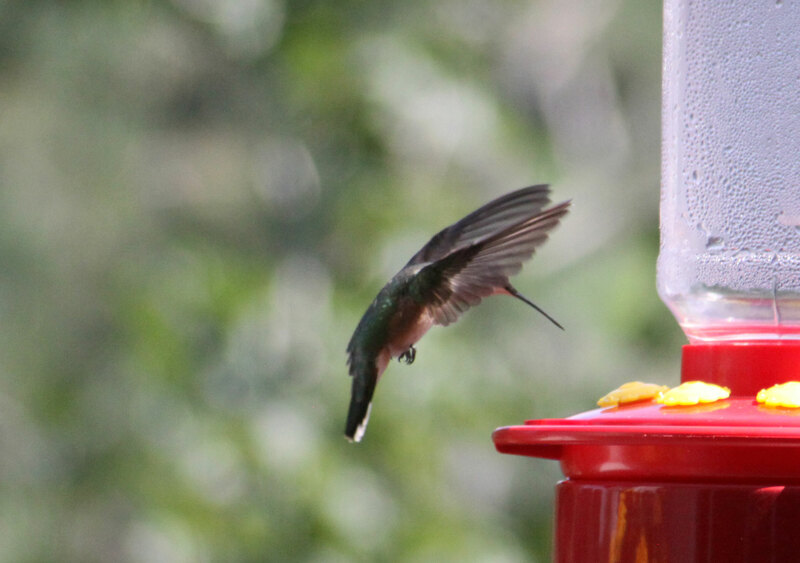 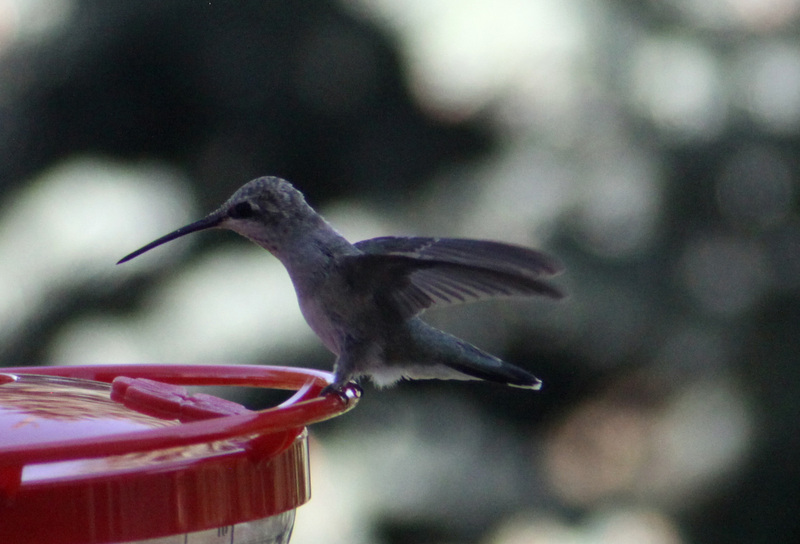 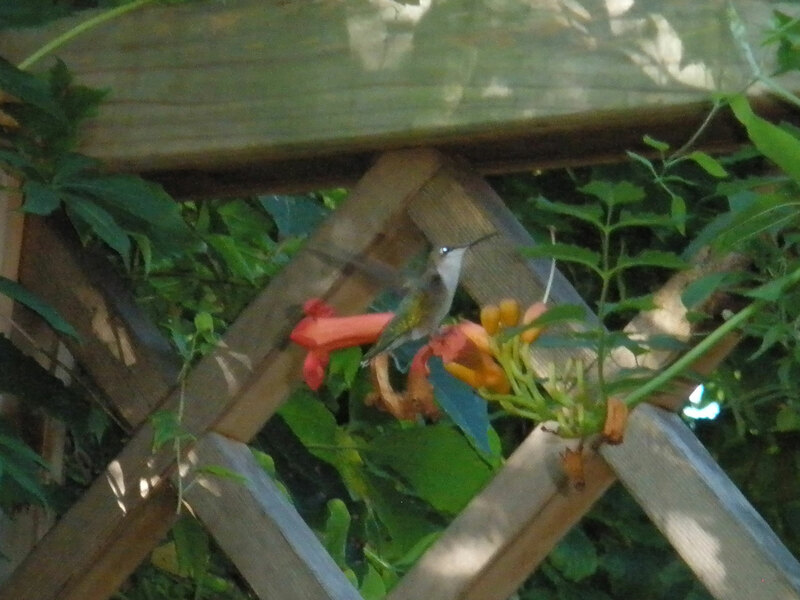 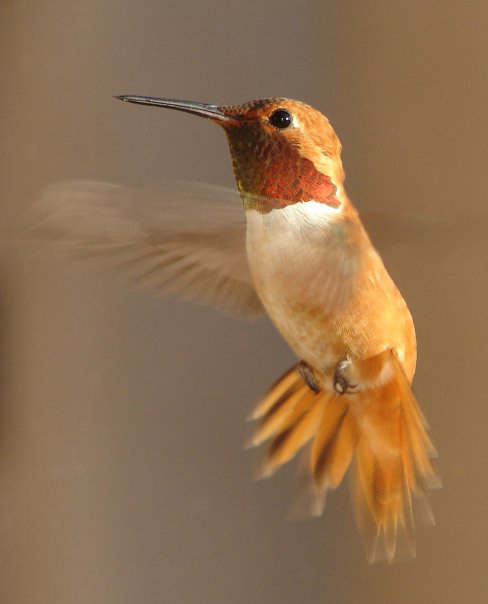 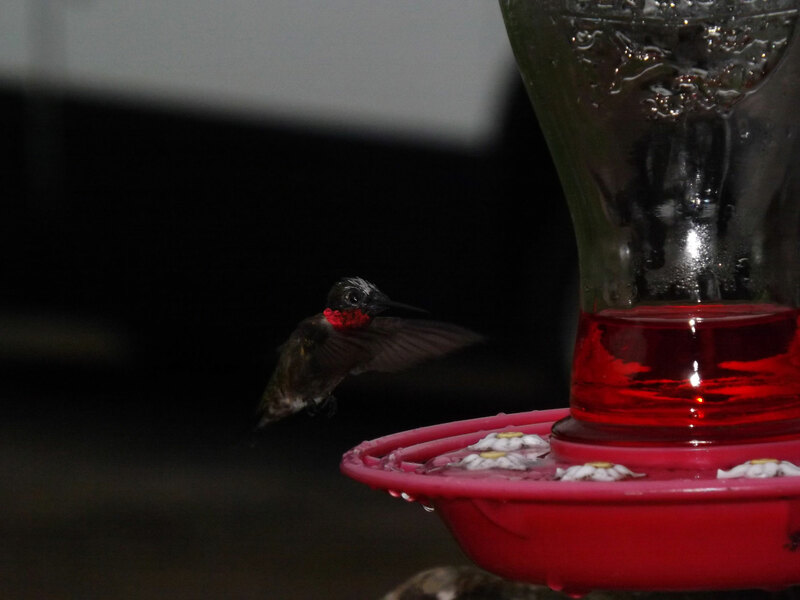 Hummingbird Photo Gallery. 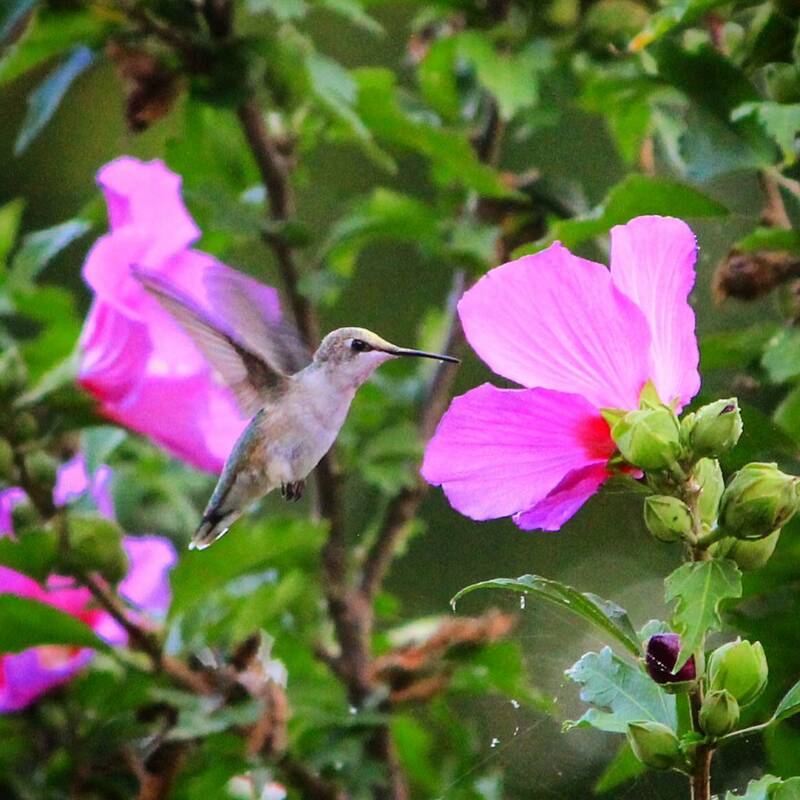 Stunning Photos from our Visitors. 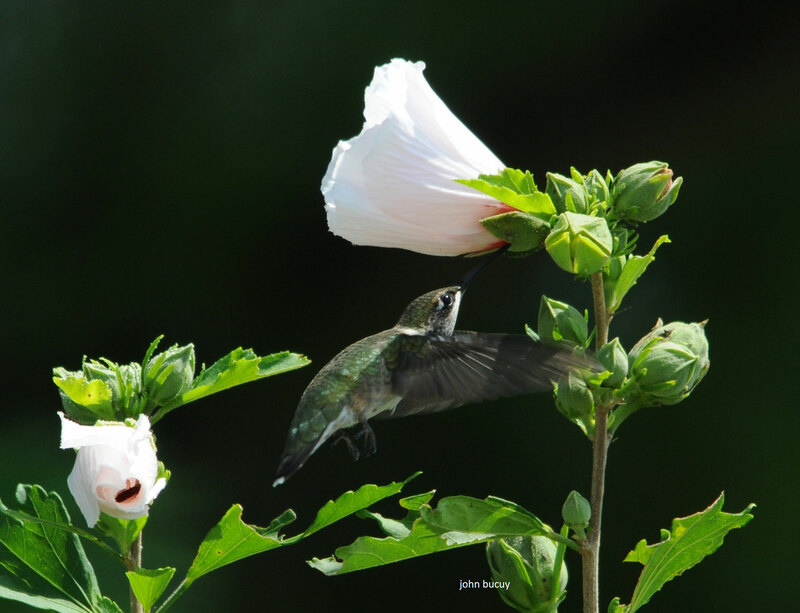 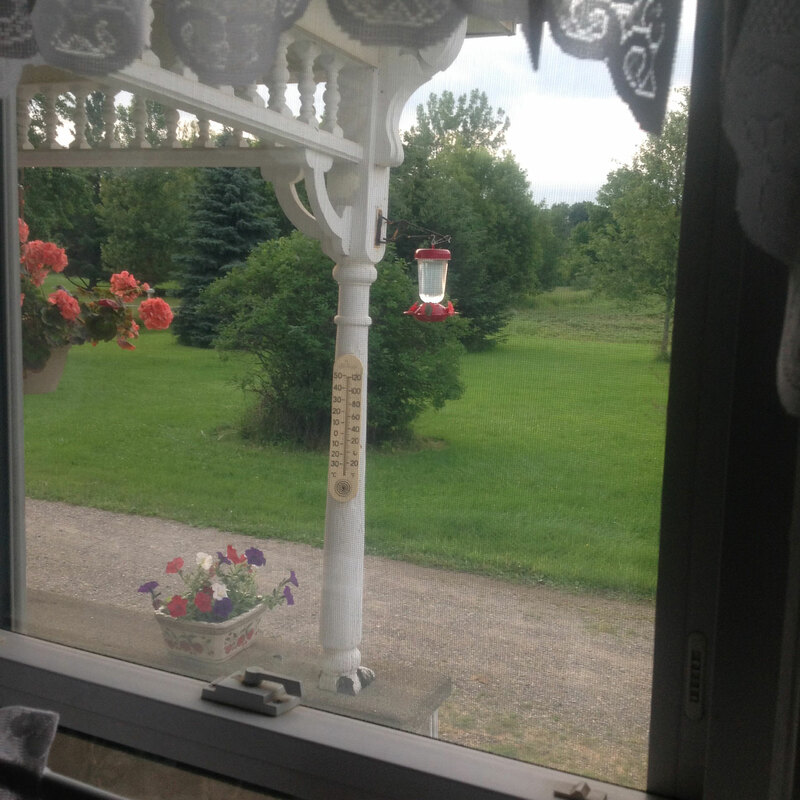 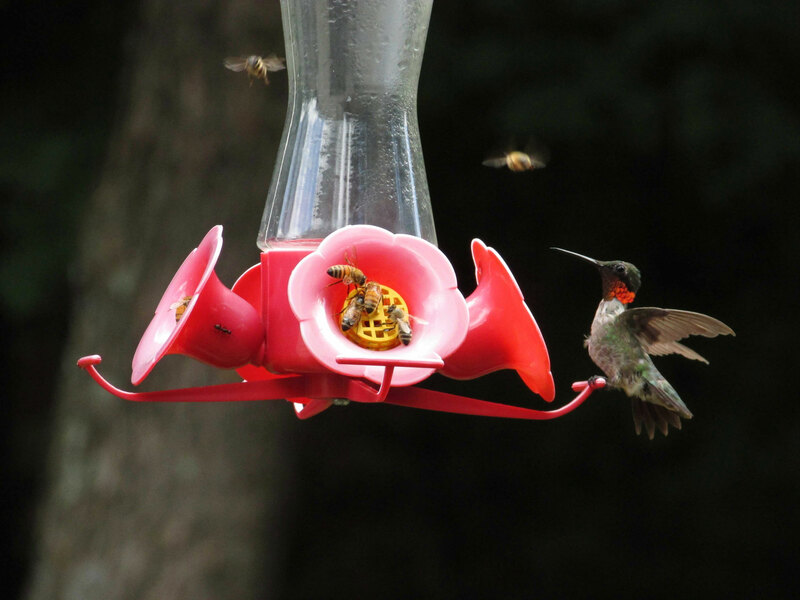 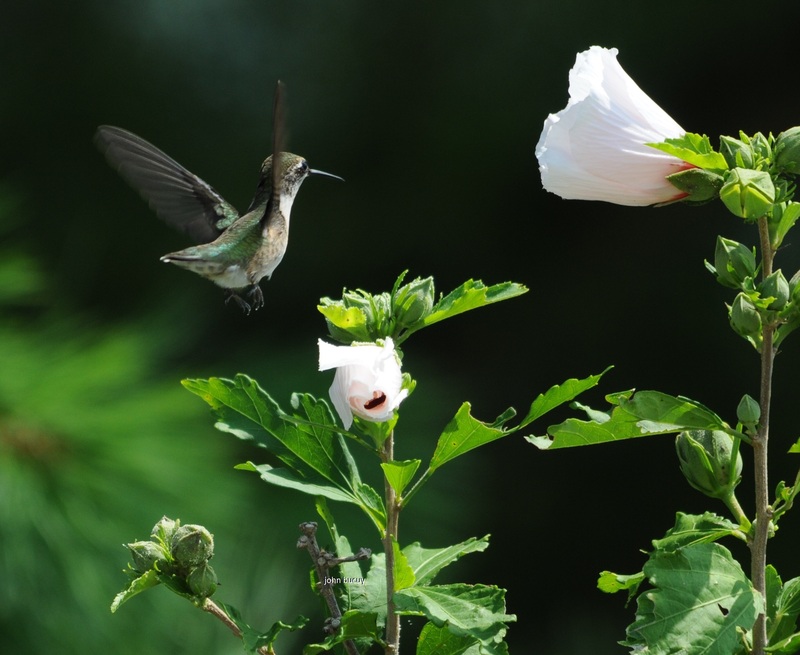 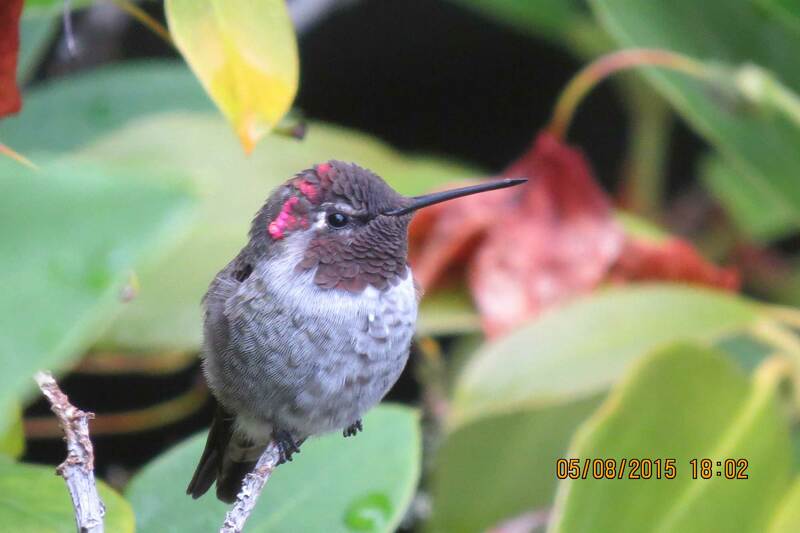 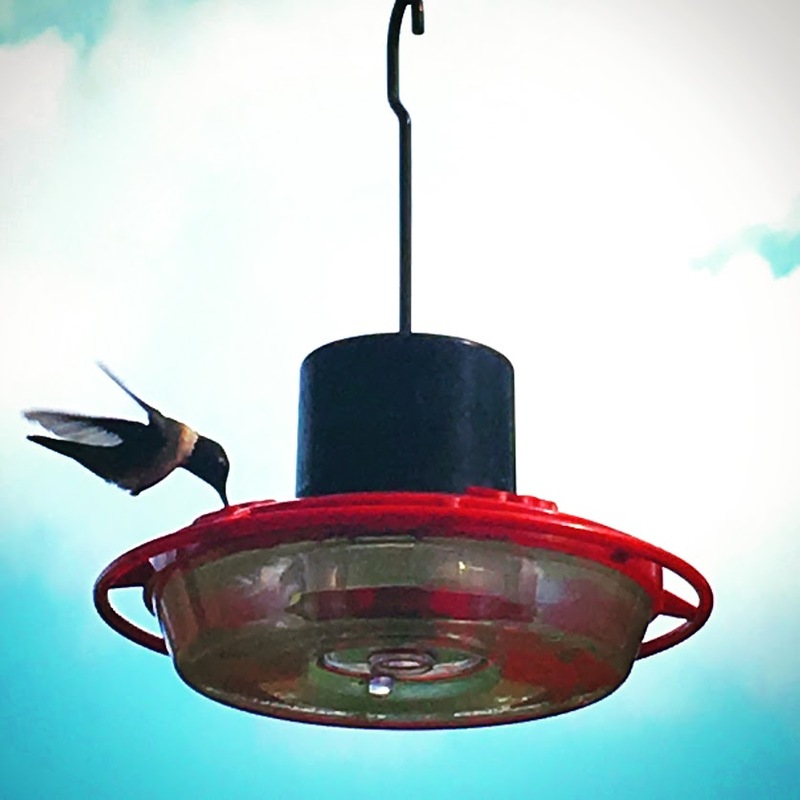 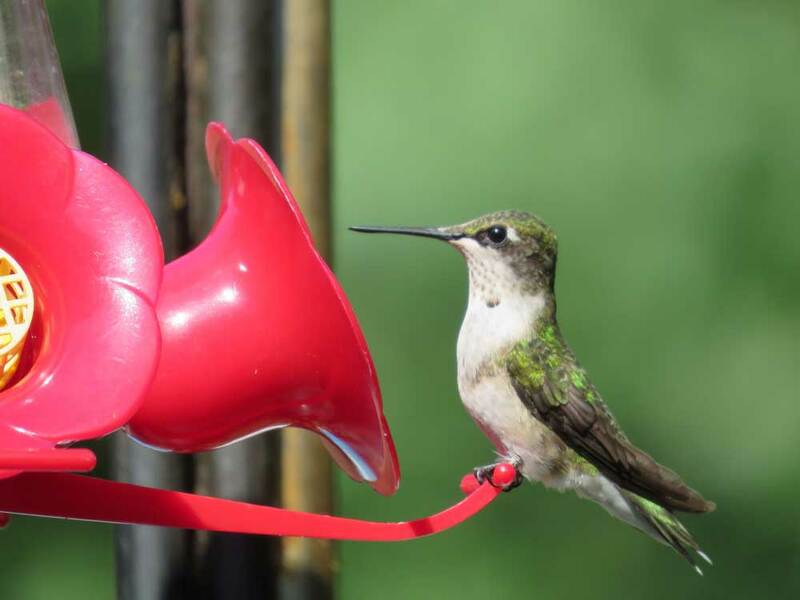 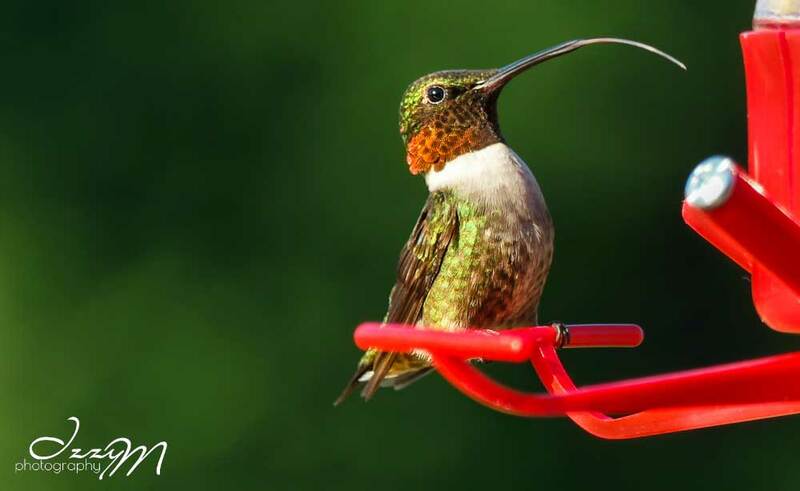 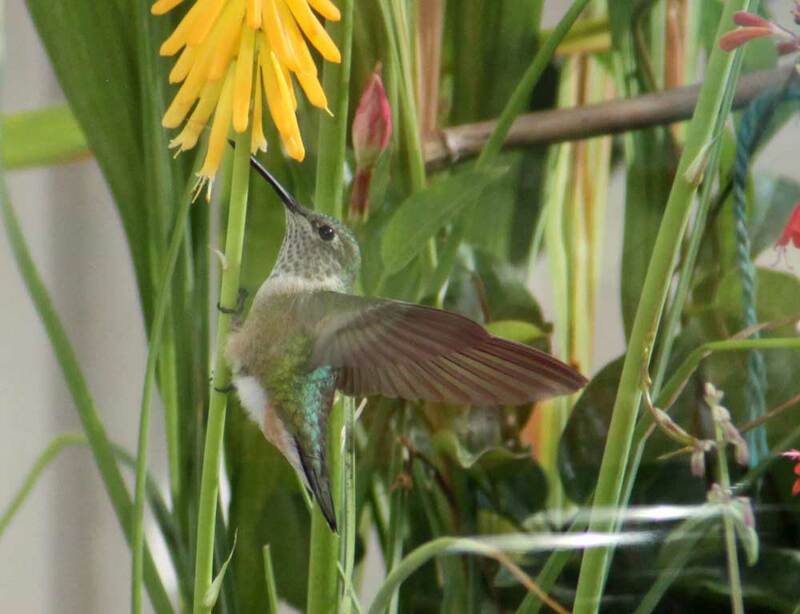 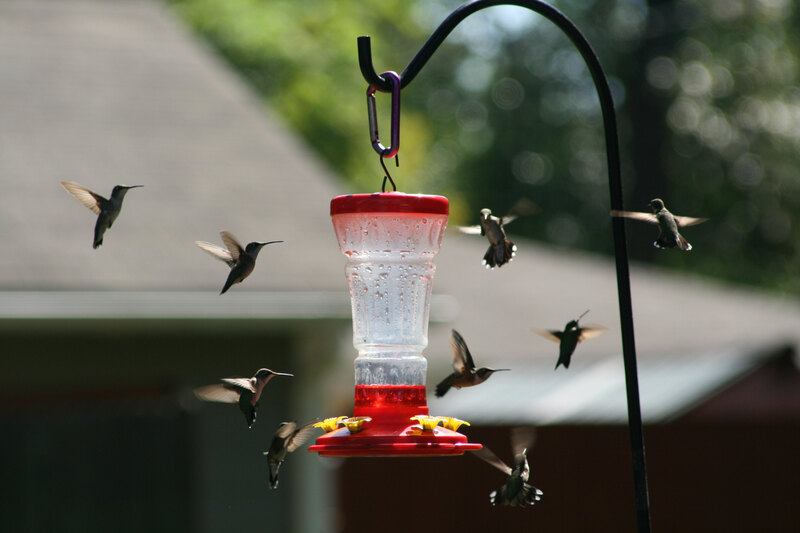 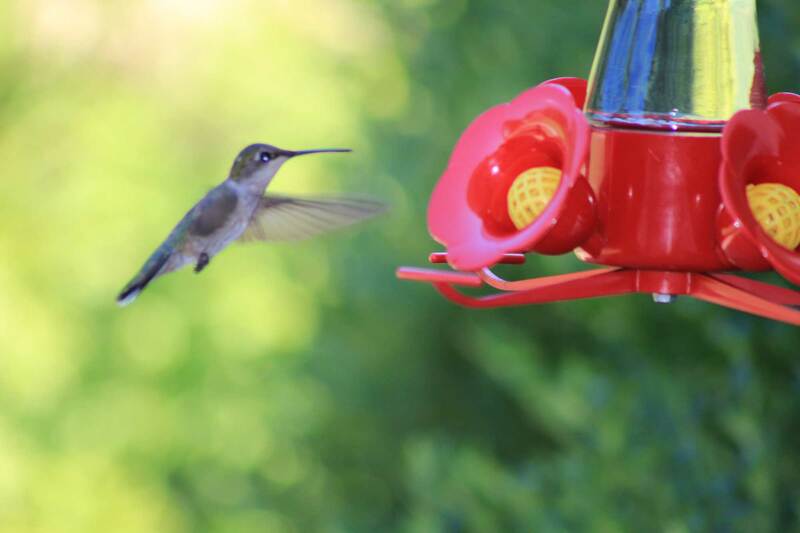 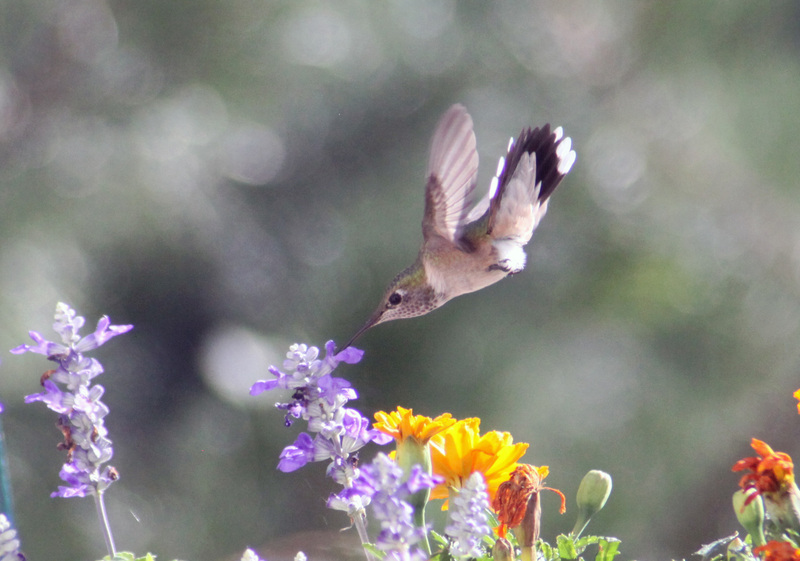 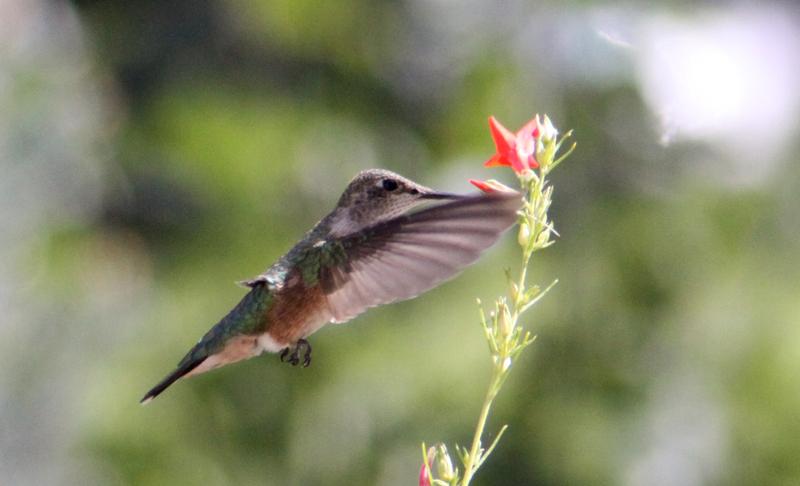 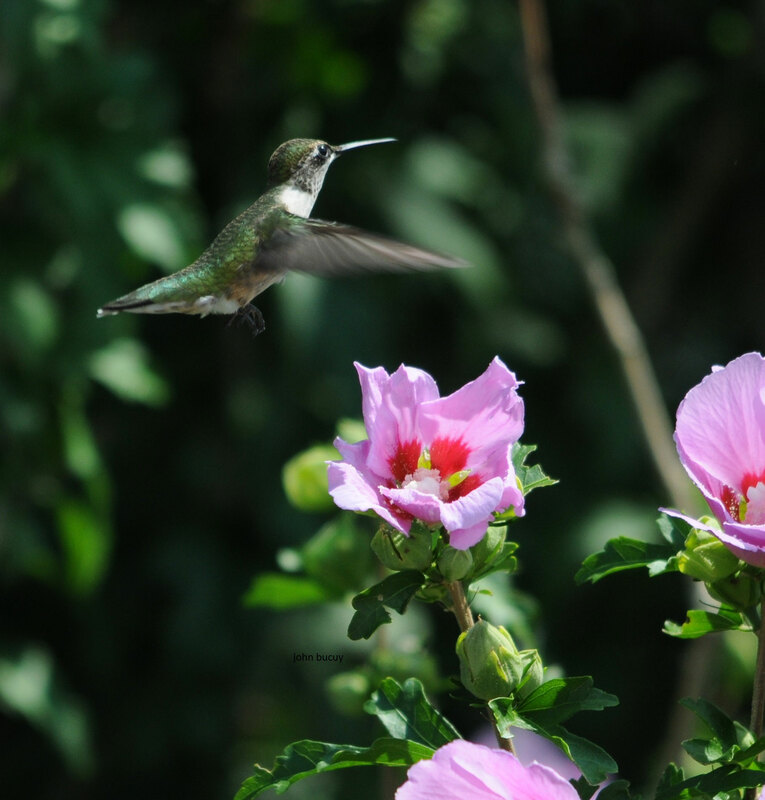 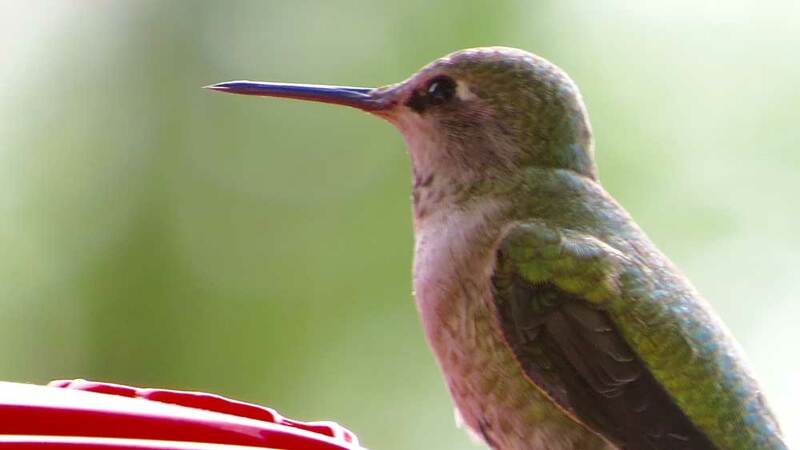 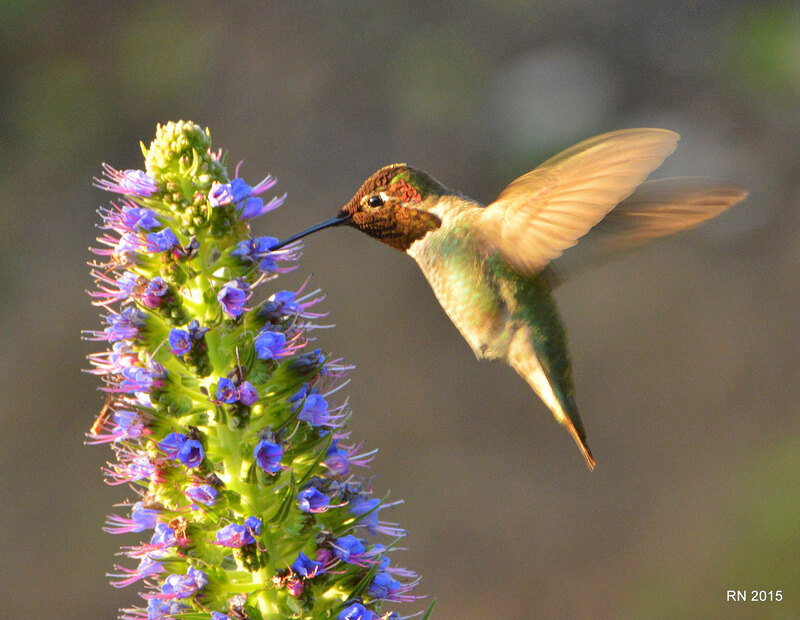 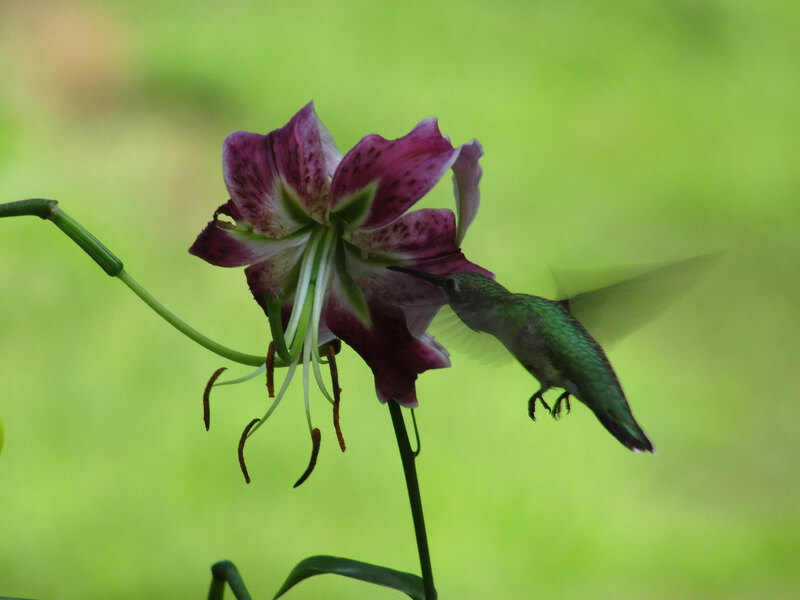 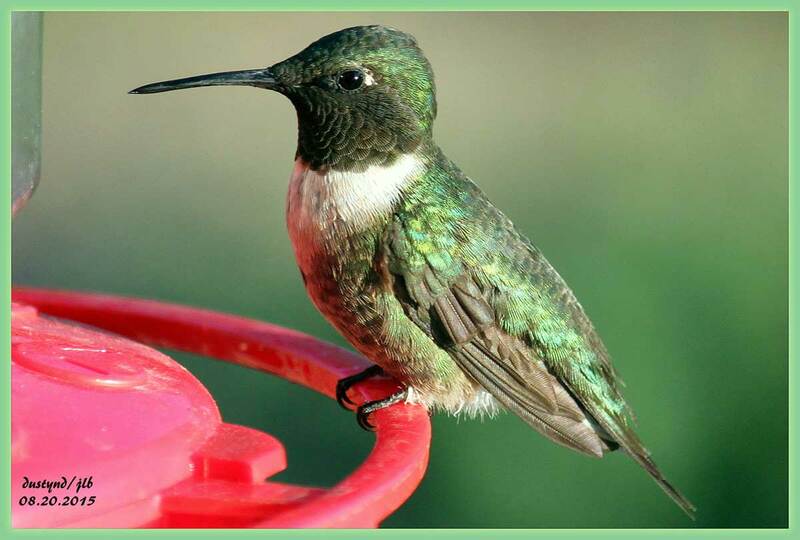 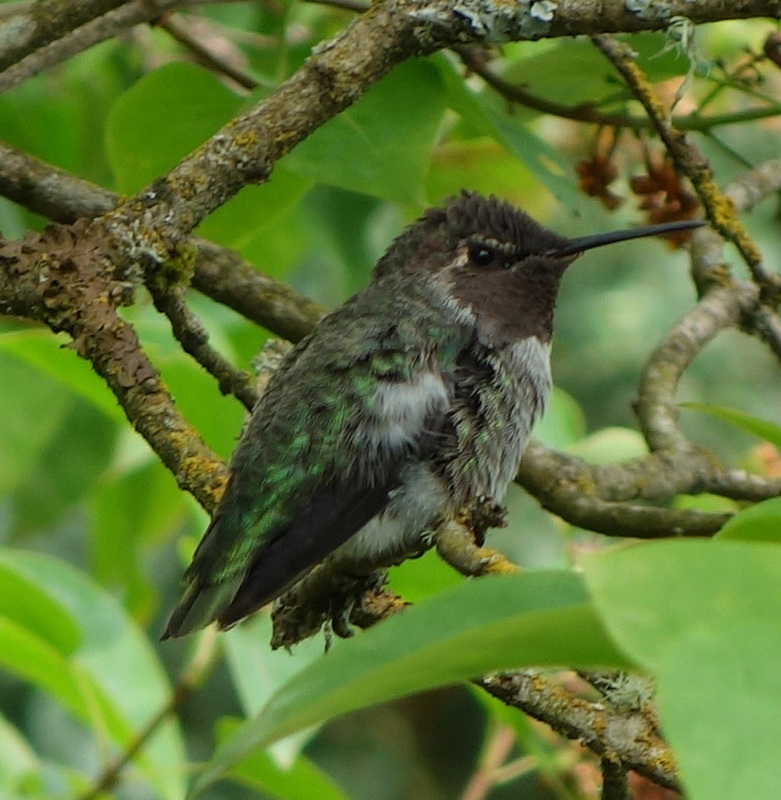 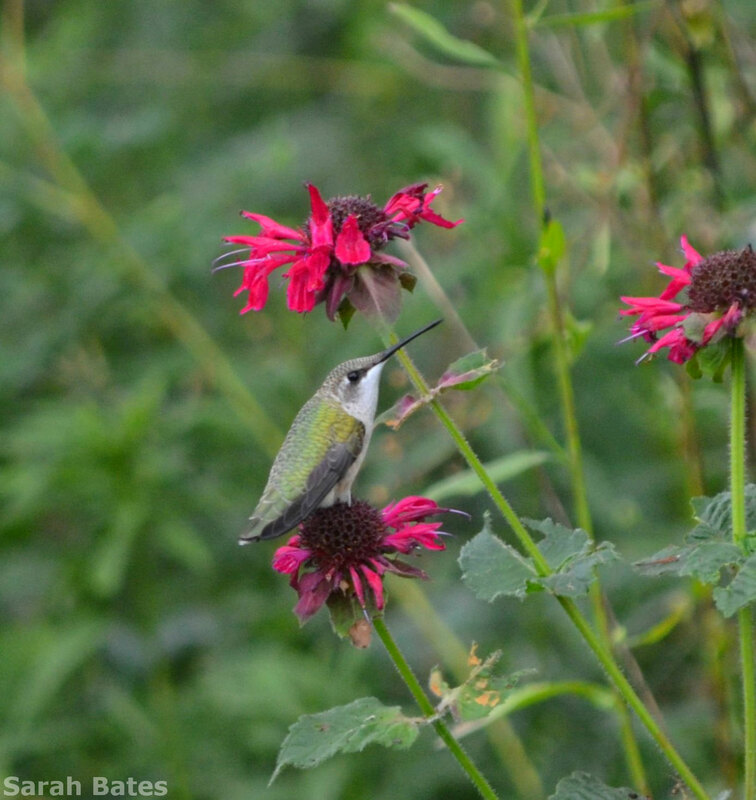 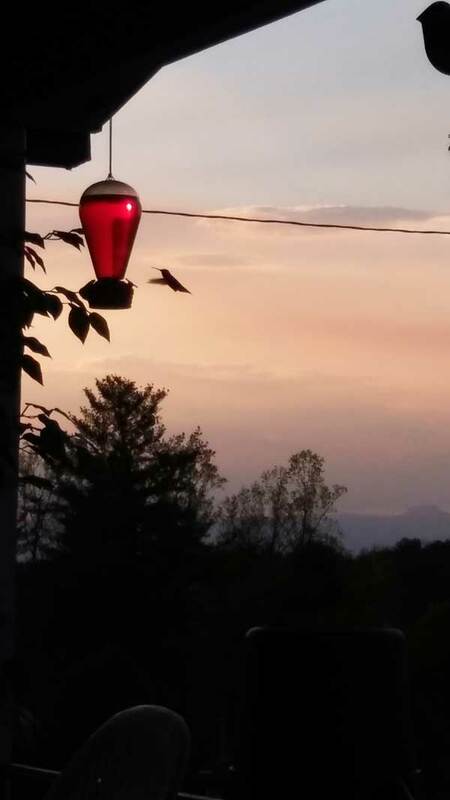 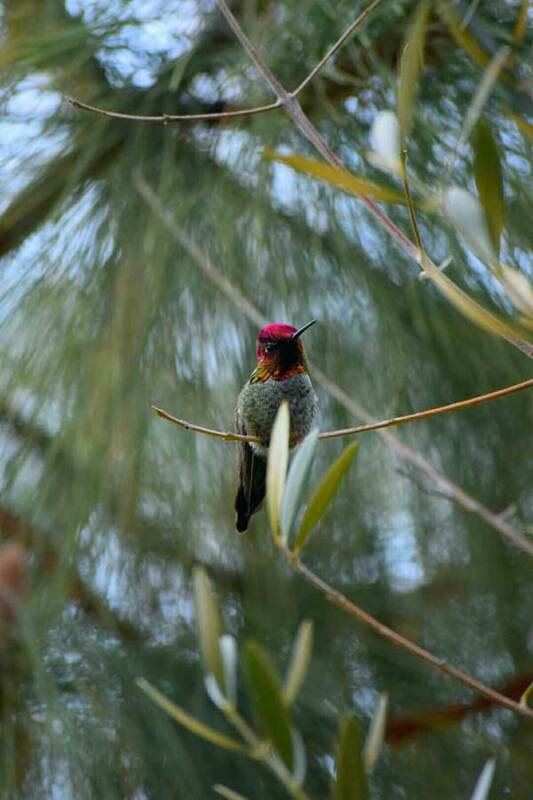 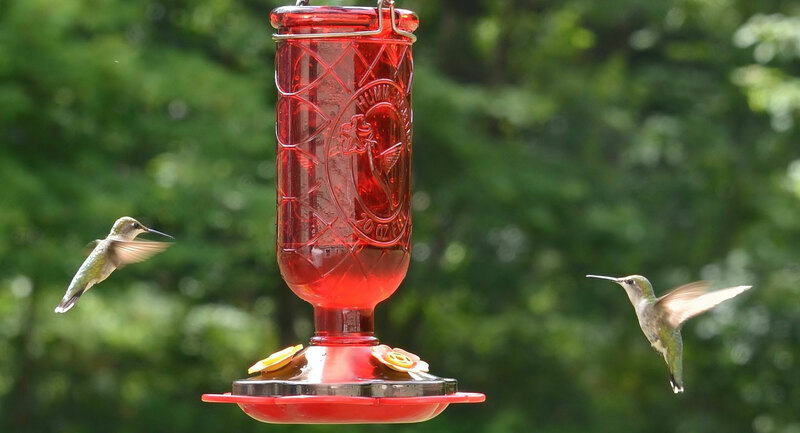 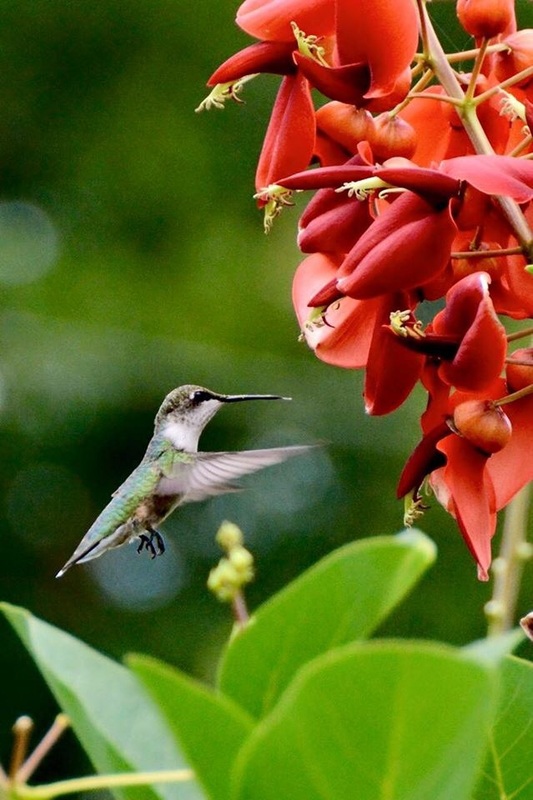 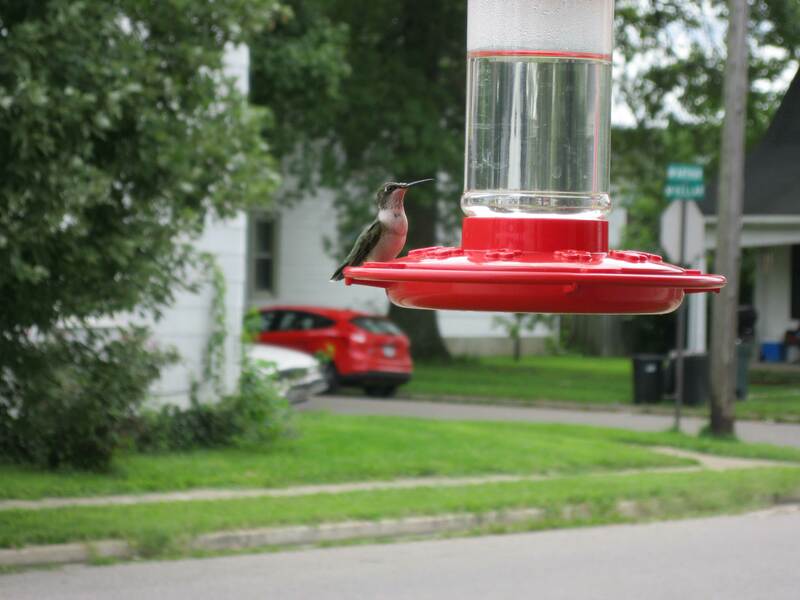 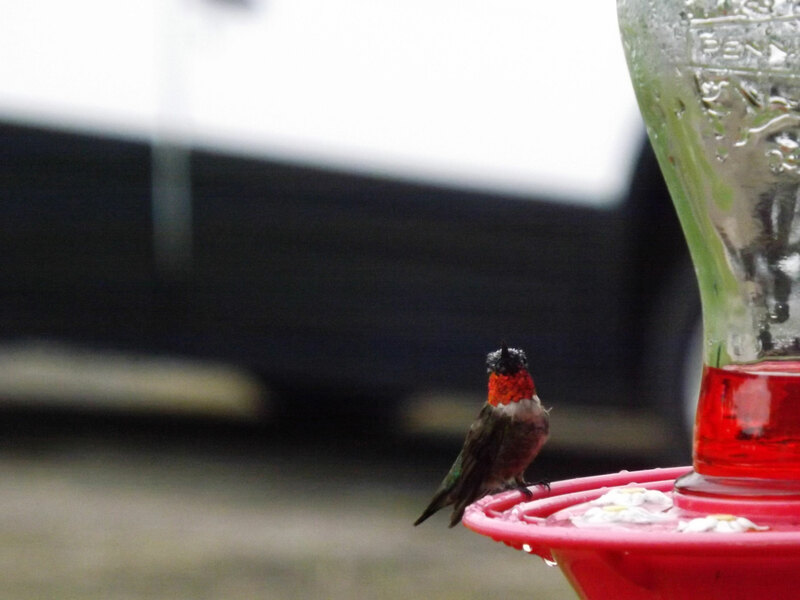 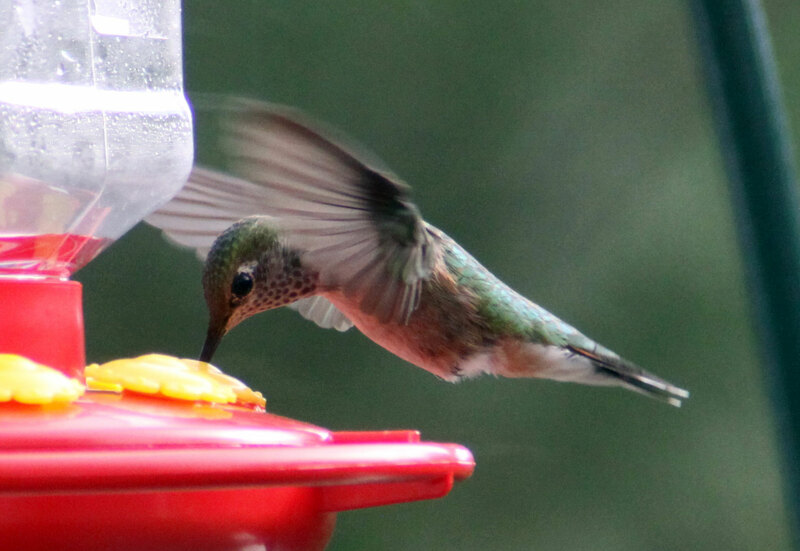 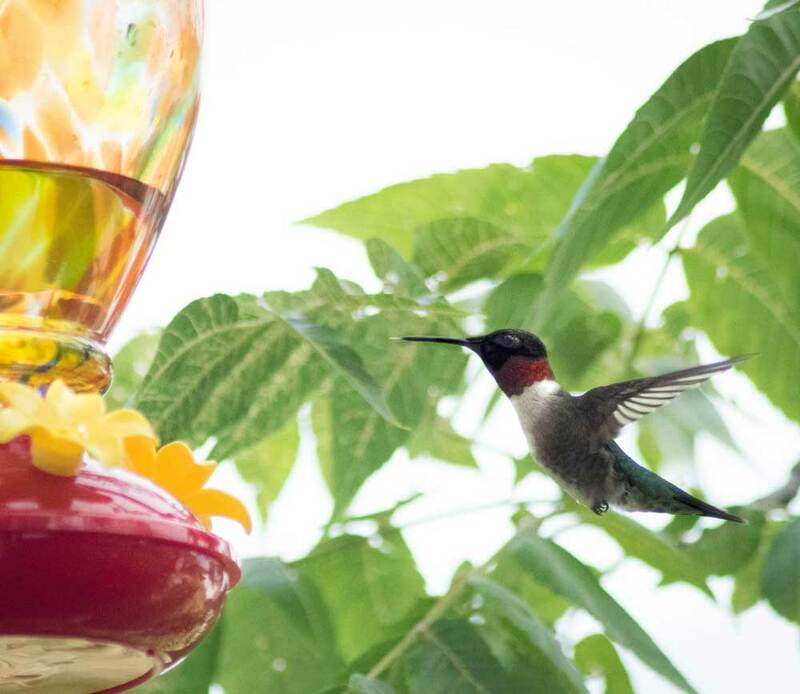 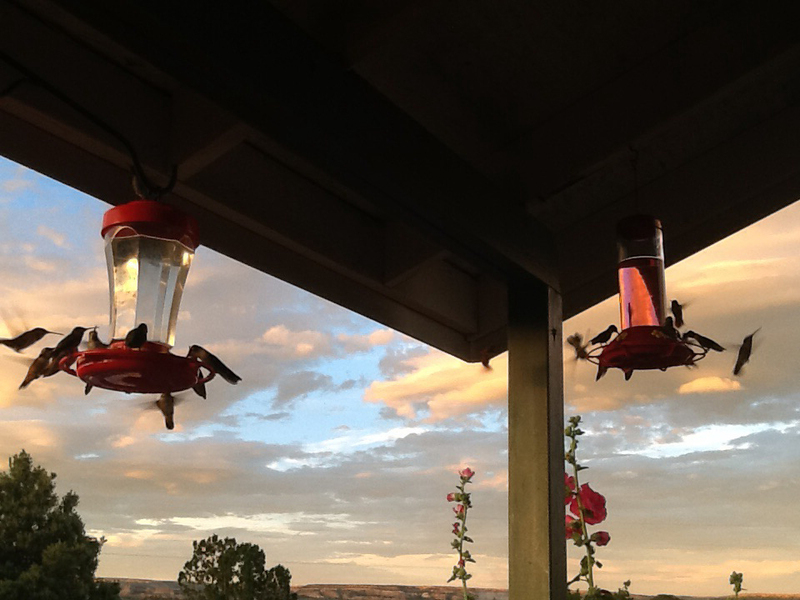 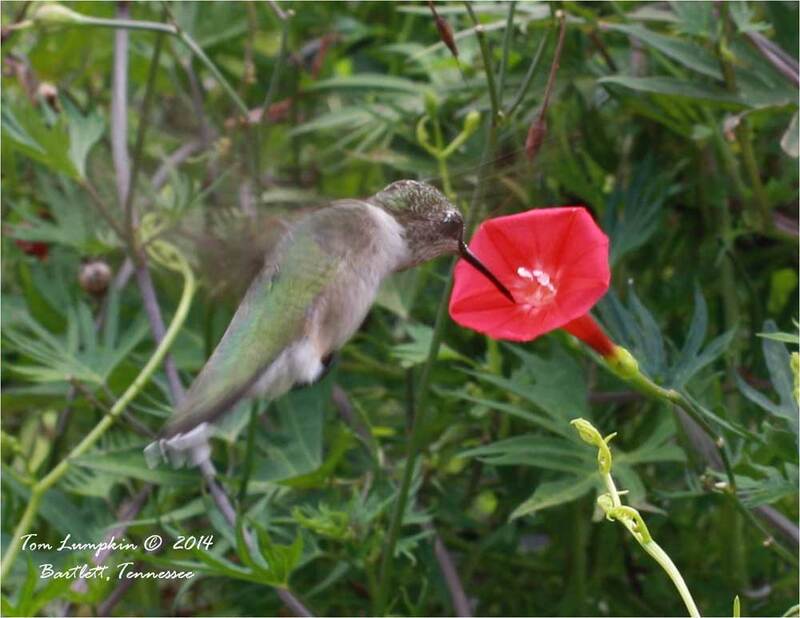 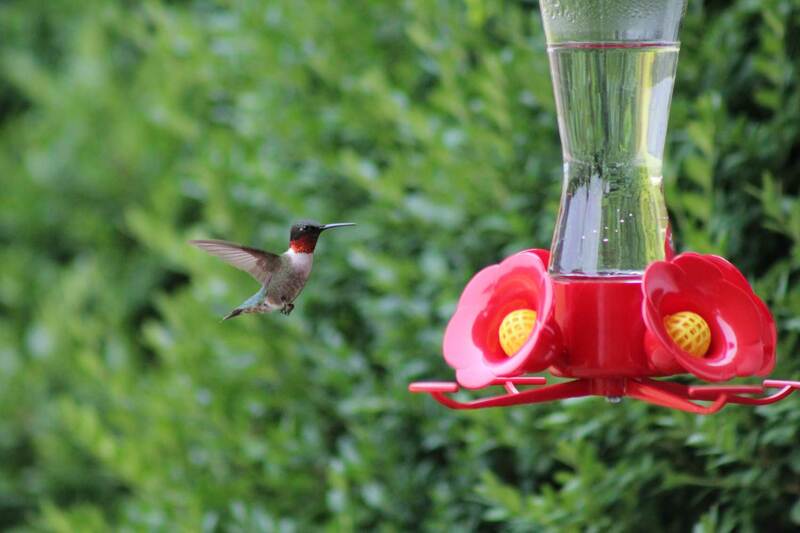 We started our hummingbird photo gallery to highlight the many photos that we receive from our visitors through our submission form﻿ and photo contest. 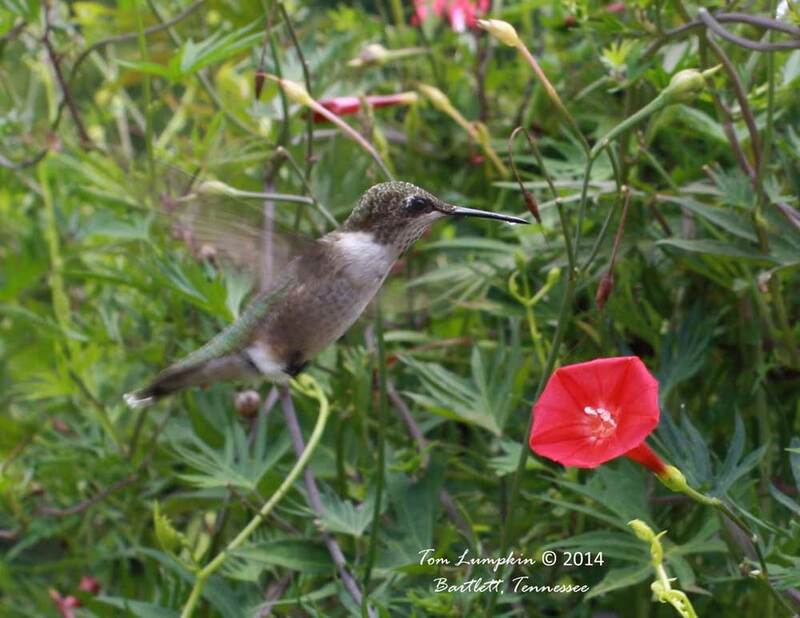 After asking our visitors if they were interested in seeing a gallery page dedicated to their photo submissions, the positive response was overwhelming. 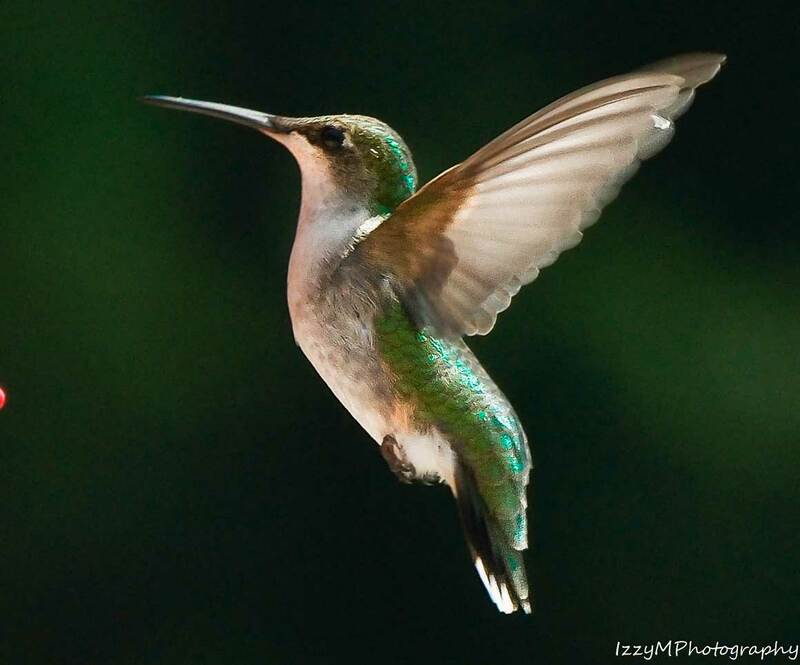 We hope to encourage everyone to also join us at our facebook page to share with each other your photos, sightings, experiences, and tips to enjoy the wonderful hummingbird! 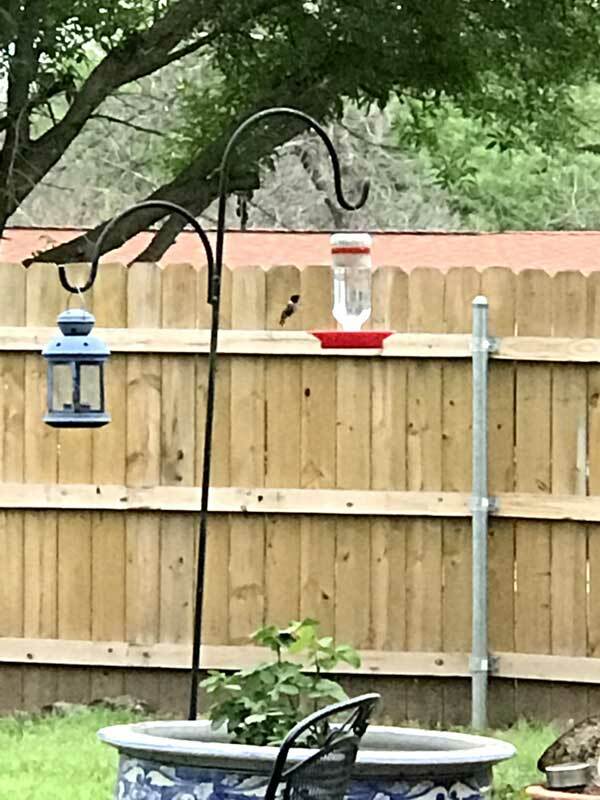 a Gallery of All Photos! 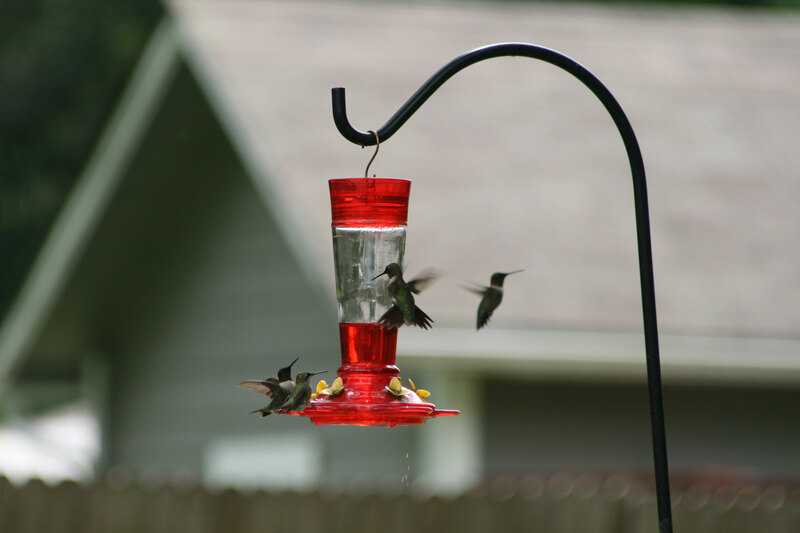 NOTE: It is optional but we recommend that you include your email address at the end of your story in case there are upload problems. 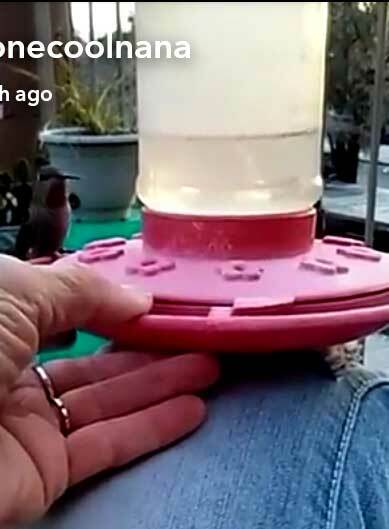 (We receive a lot of submissions without a photo with no way to contact the submitter unless we have an email address.) 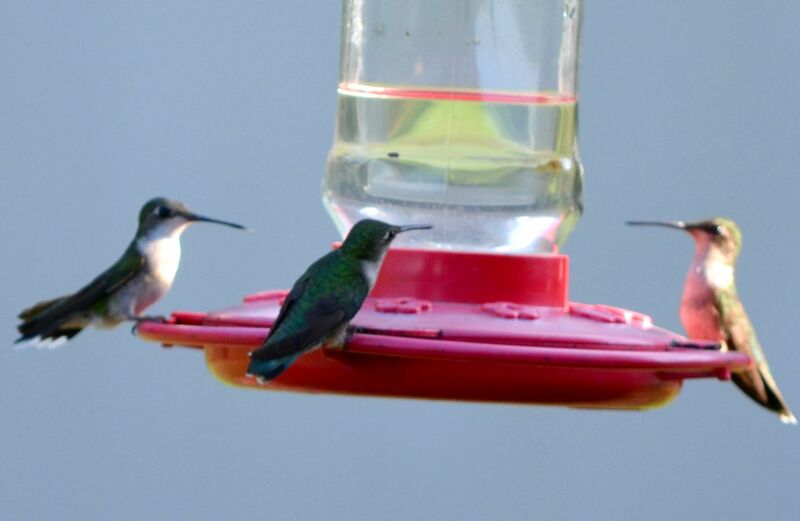 We do not share your email address with anyone! 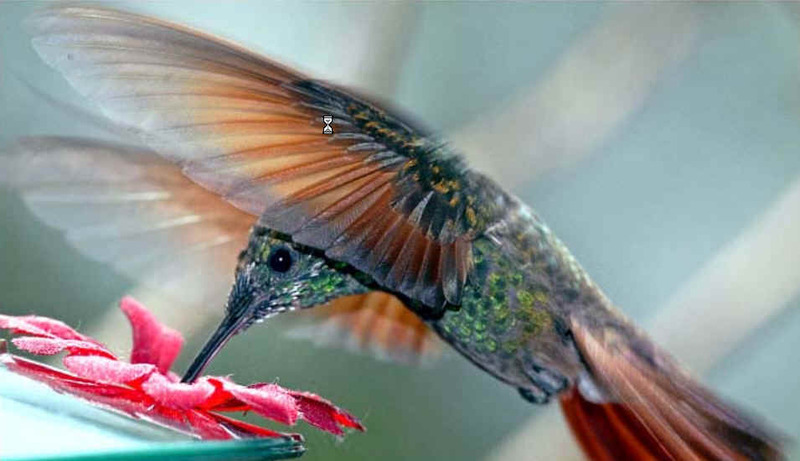 To add your photo,click the button and find it on your computer. 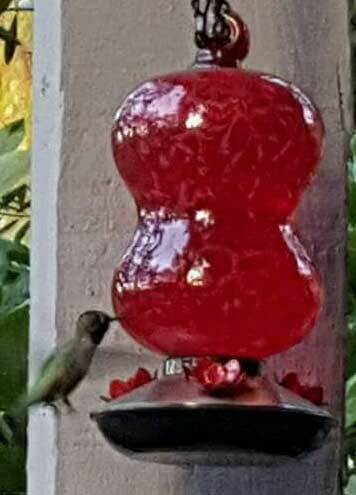 Then select it. 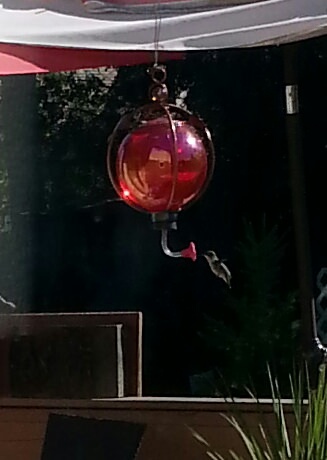 Hummingbird feeding off my handmade pot for the first time!!! 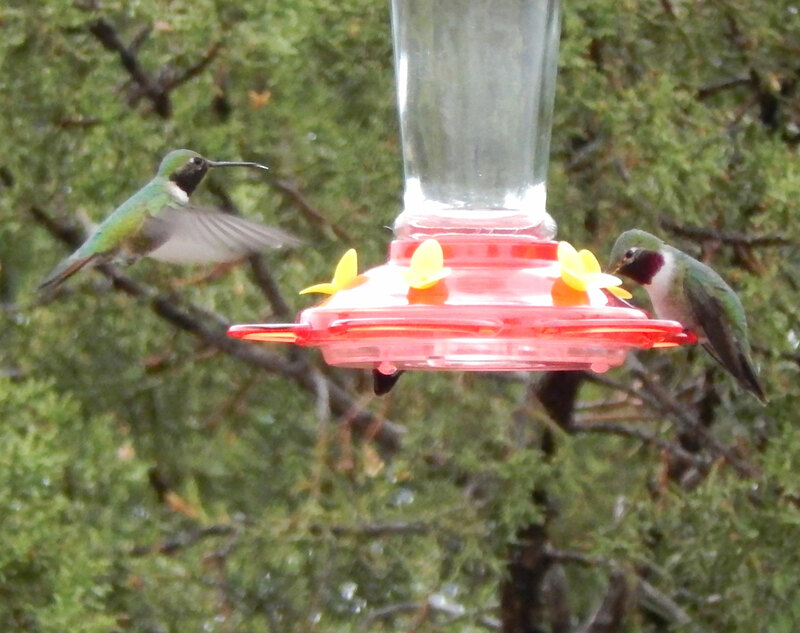 Oh happy day!!!! 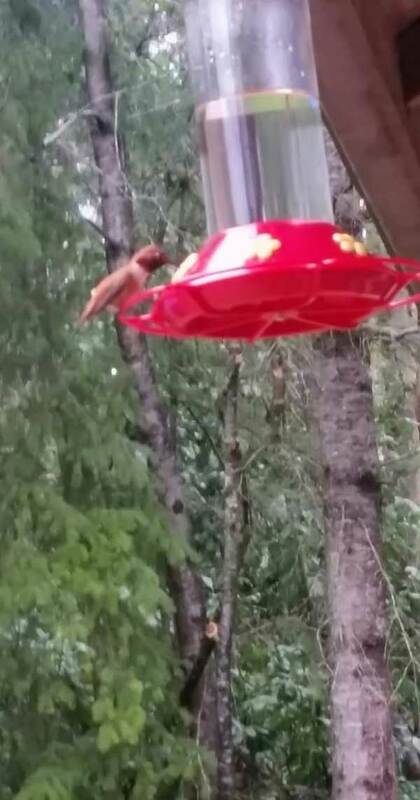 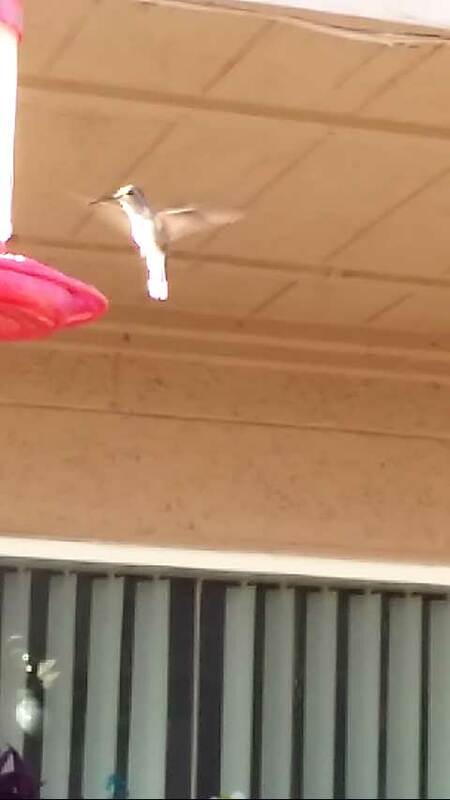 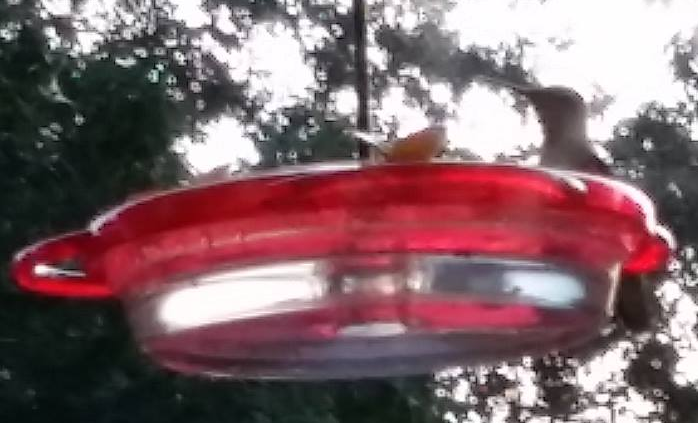 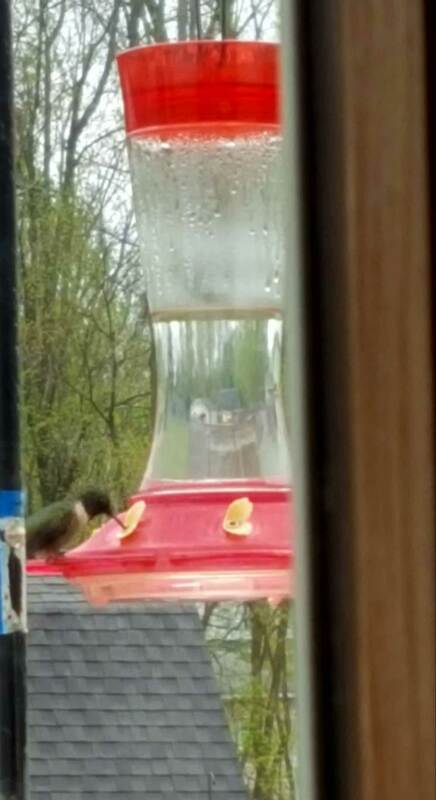 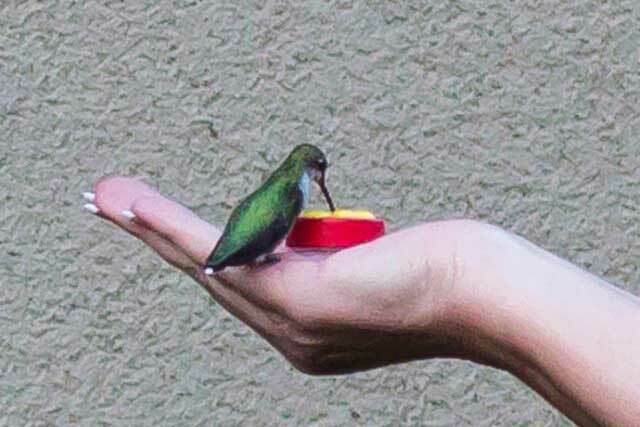 I am fairly new to hummingbirds. 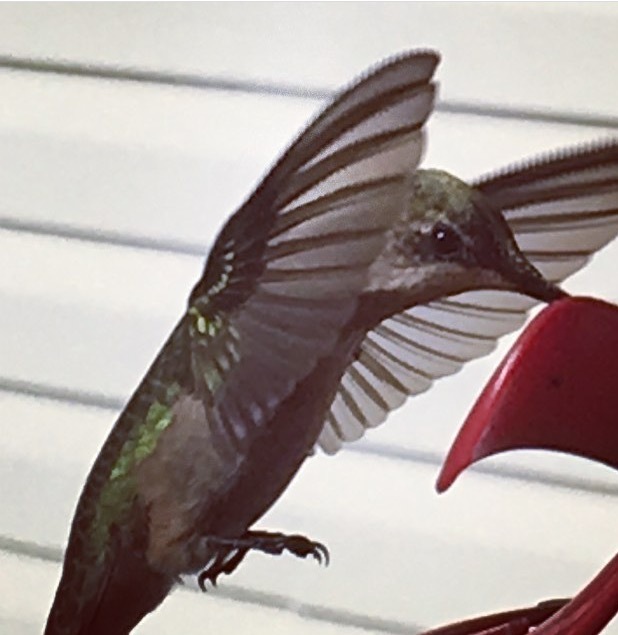 Got into it late last summer, hopefully I'll have more this summer. 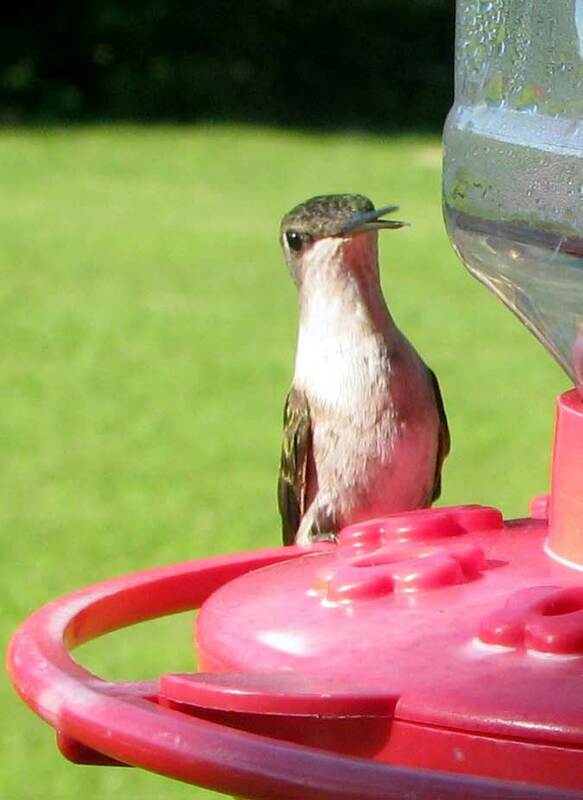 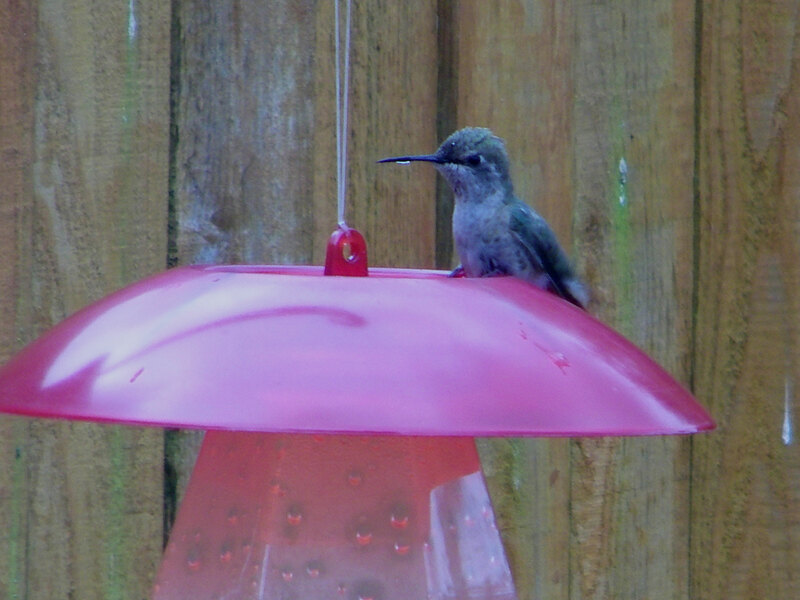 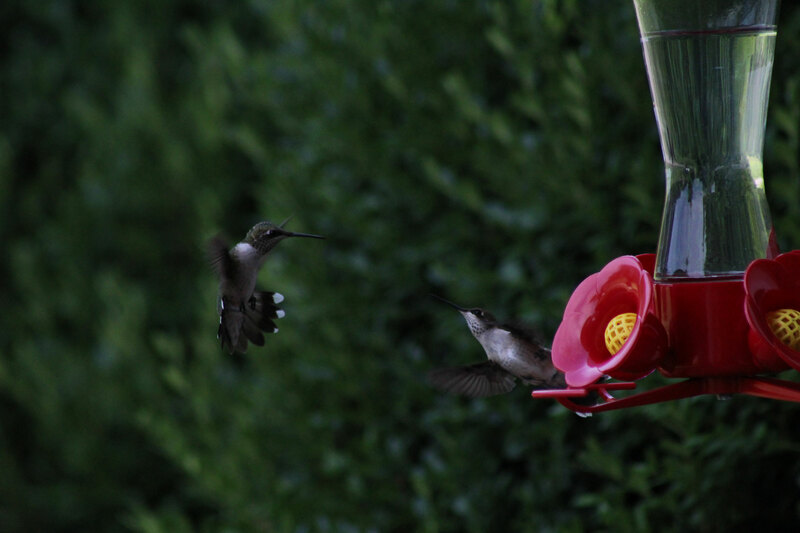 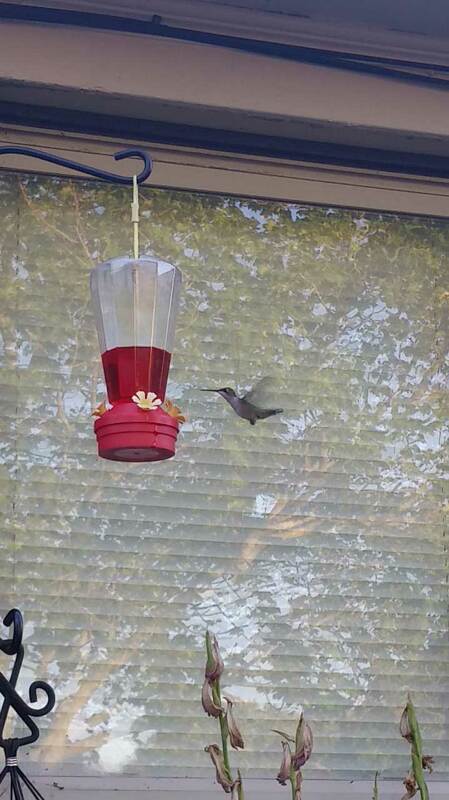 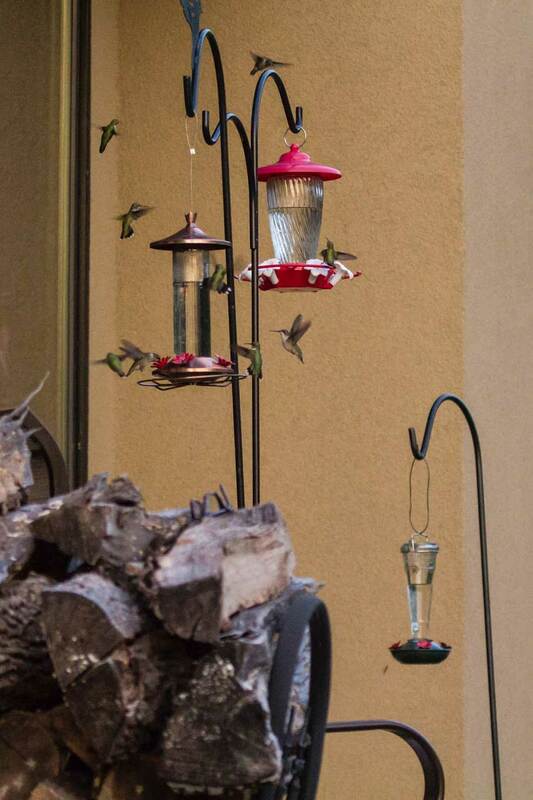 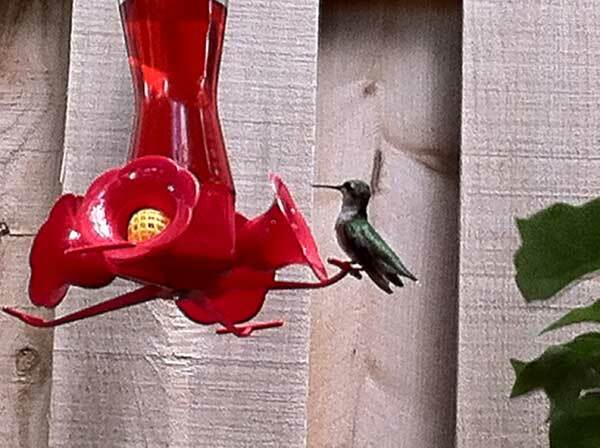 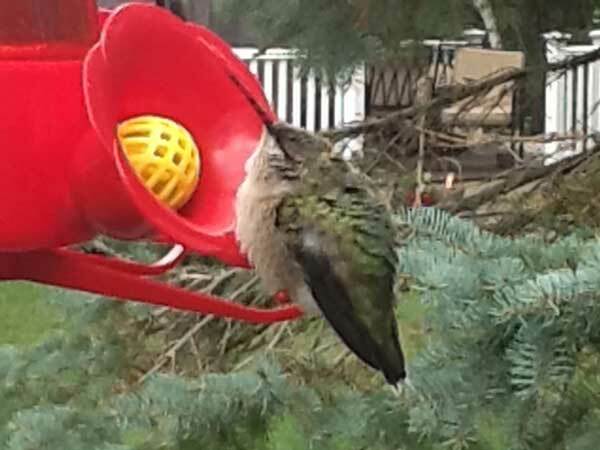 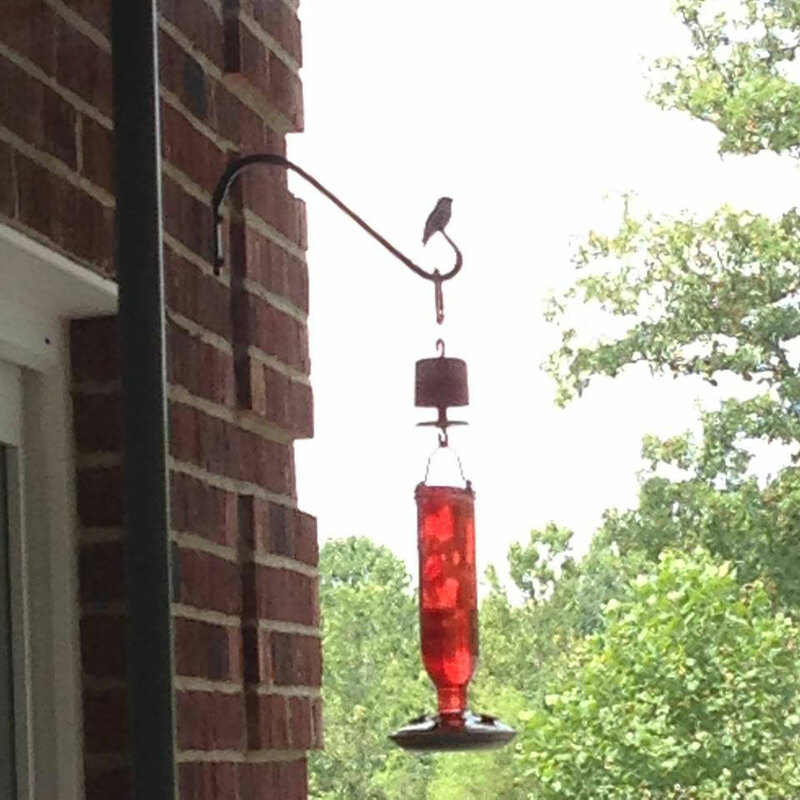 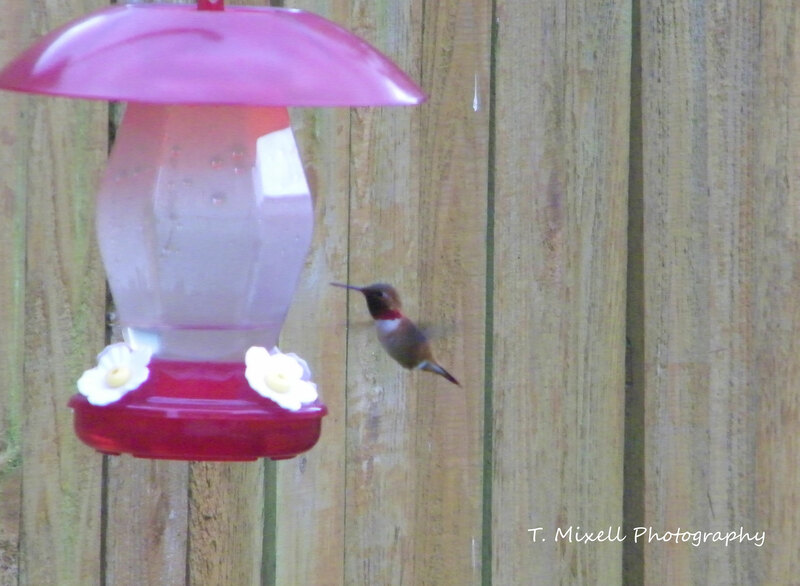 I put our feeder out a couple of weeks ago knowing the hummers would be a little early this year. 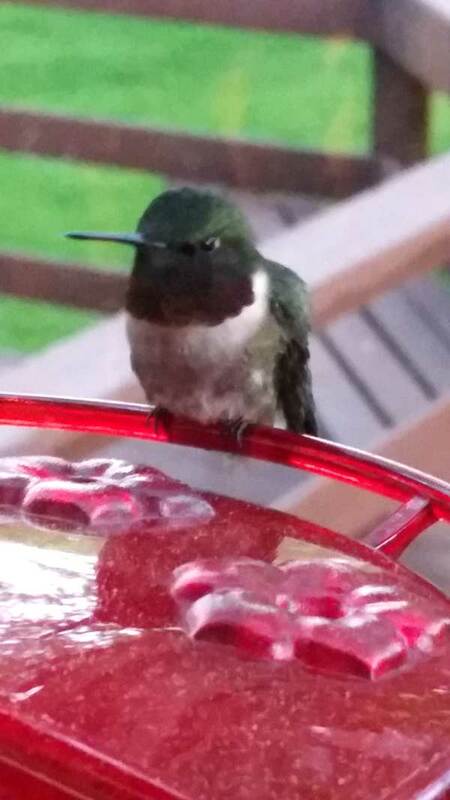 Finally caught this little guy for a picture. 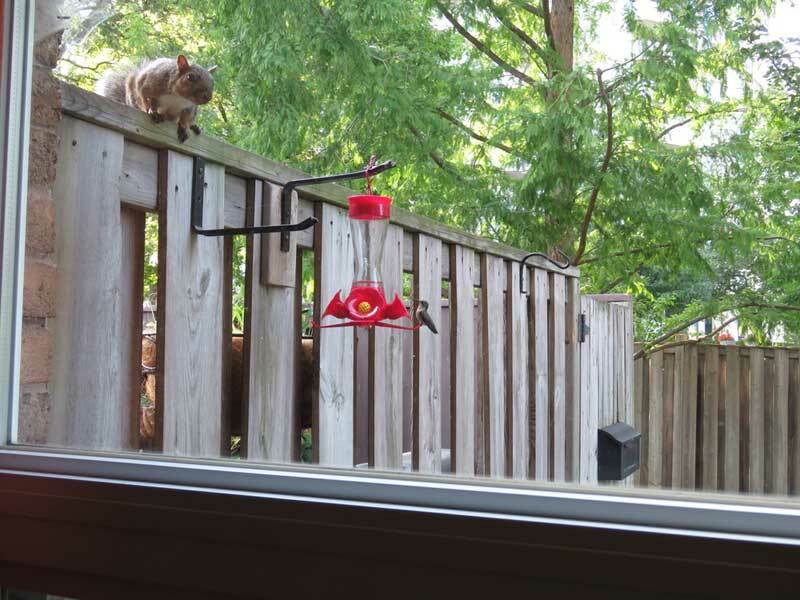 Newman thinks he's a mighty hunter. 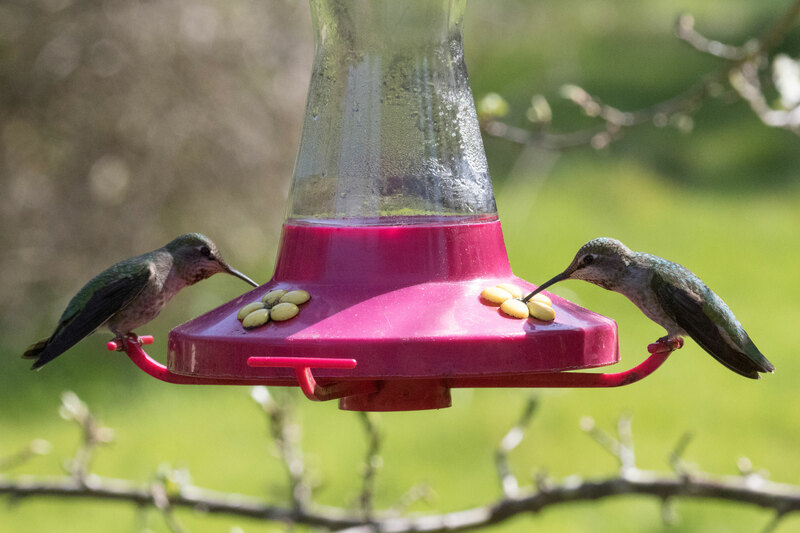 Fortunately, the birds always win. 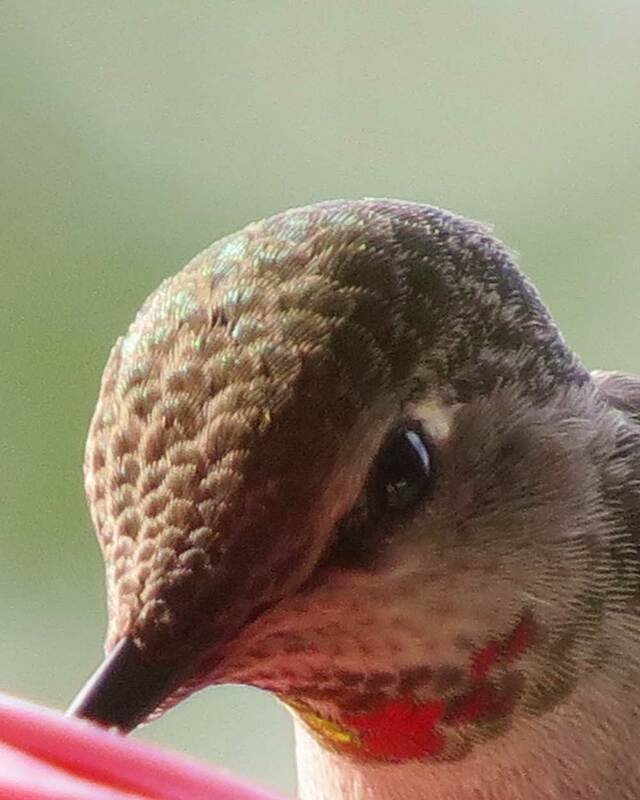 Looks like a cross I love this picture! 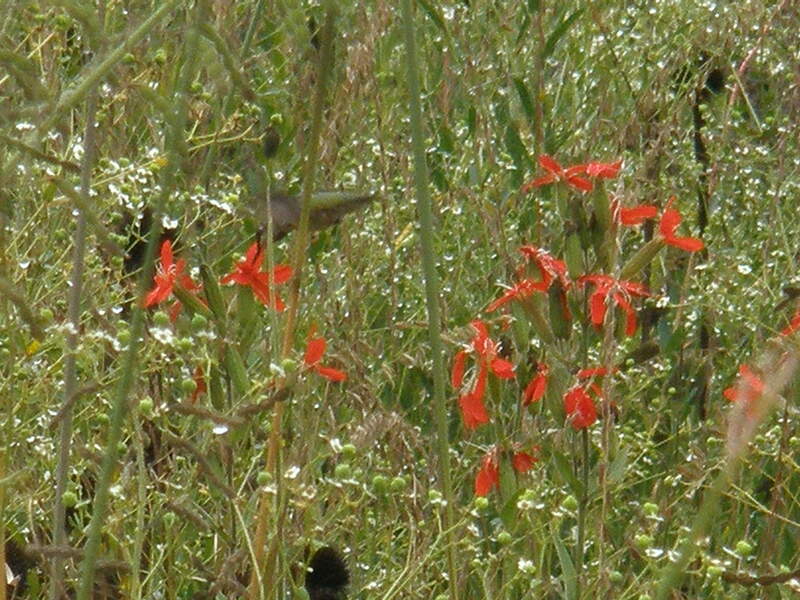 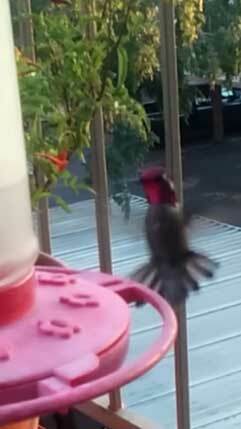 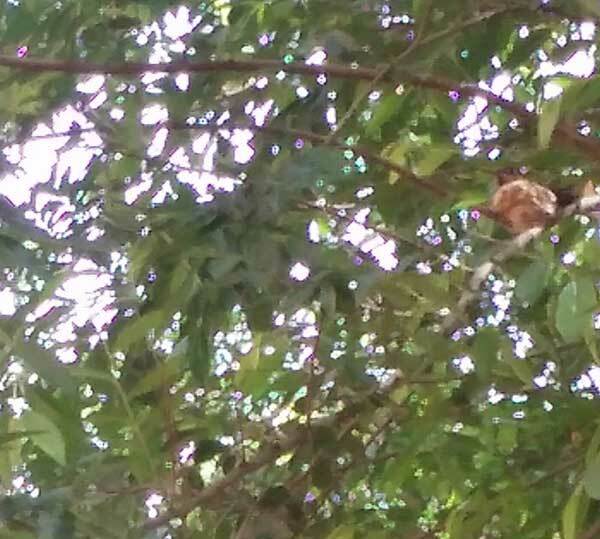 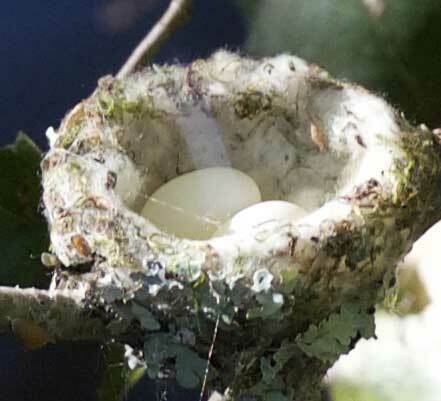 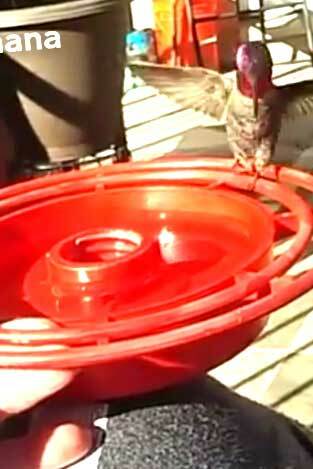 We saw our first baby rubythroat hummingbird on mothers day.